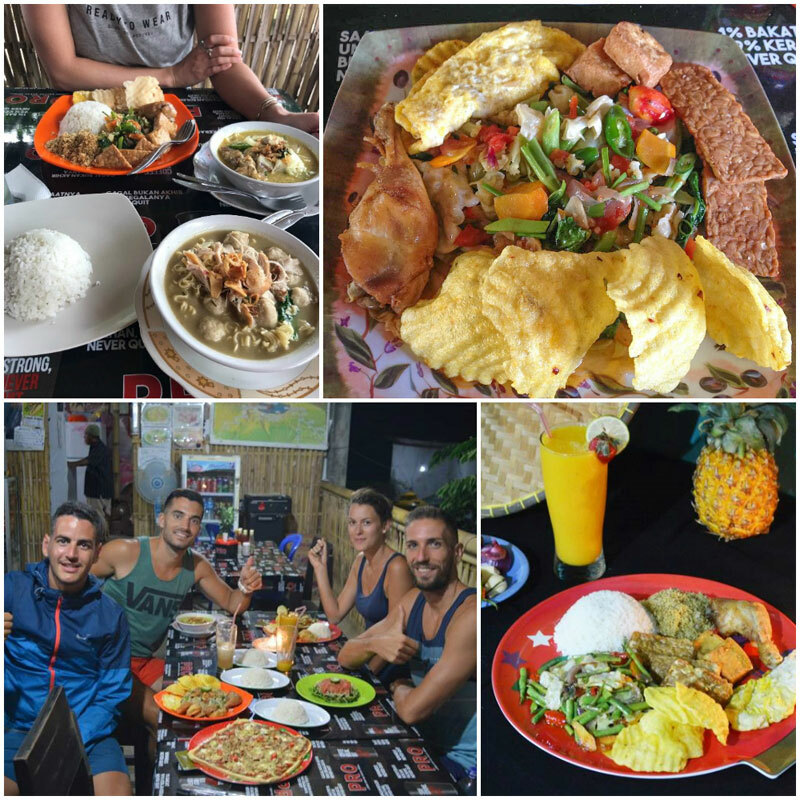 Indonesia > Lombok > 5D4N Best of Lombok and Gili itinerary for beaches, fun adventure and spectacular views! 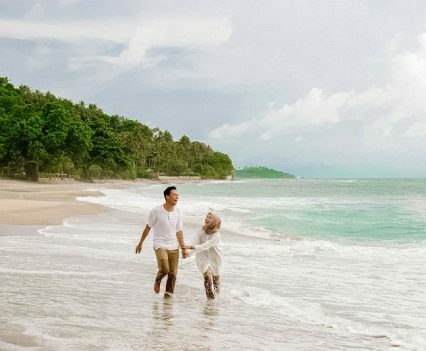 Tired of Bali? 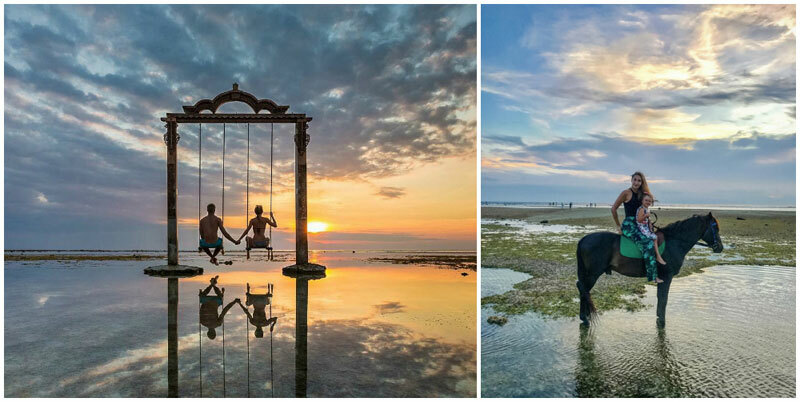 Think that Bali is overly commercialised? 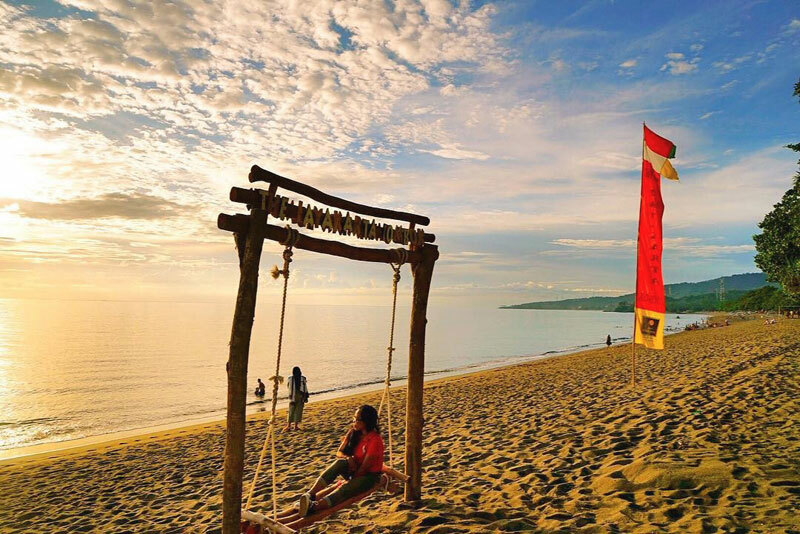 Time to start thinking about Bali’s sister, Lombok! 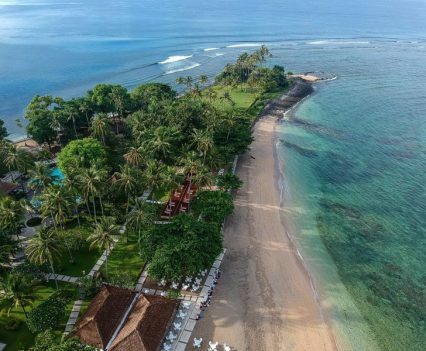 Bali might have all the qualities you dream of when you picture the perfect tropical island – adventurous mountain hikes and waterfalls, white-sand beaches and spectacular views. 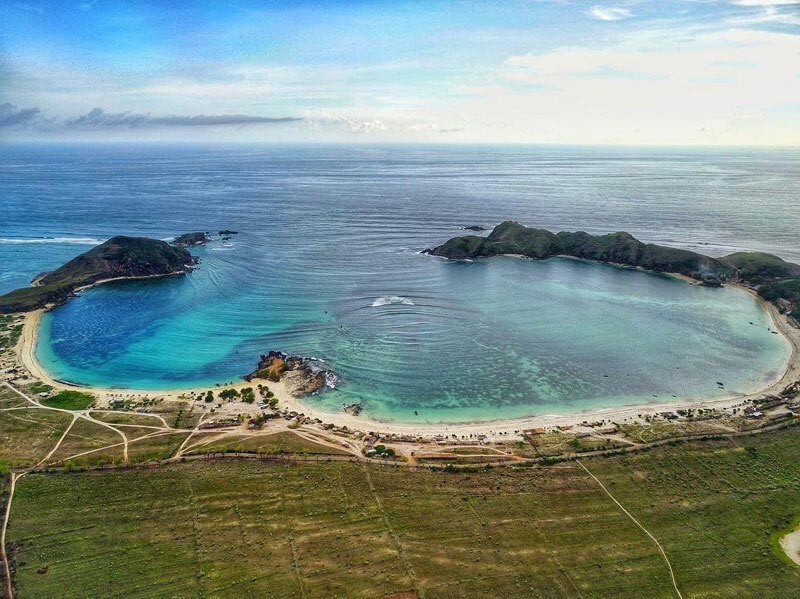 But besides these, Lombok is made that bit more special with its extraordinary location featuring more untouched crystal clear waters for the best snorkelling sessions and amazing sunset spots! Keen to see and be where others have not? 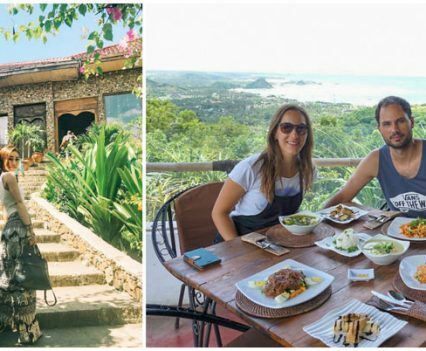 Check out Lombok’s must-dos and unique places in just 5 days 4 nights, we have planned it all in this itinerary! 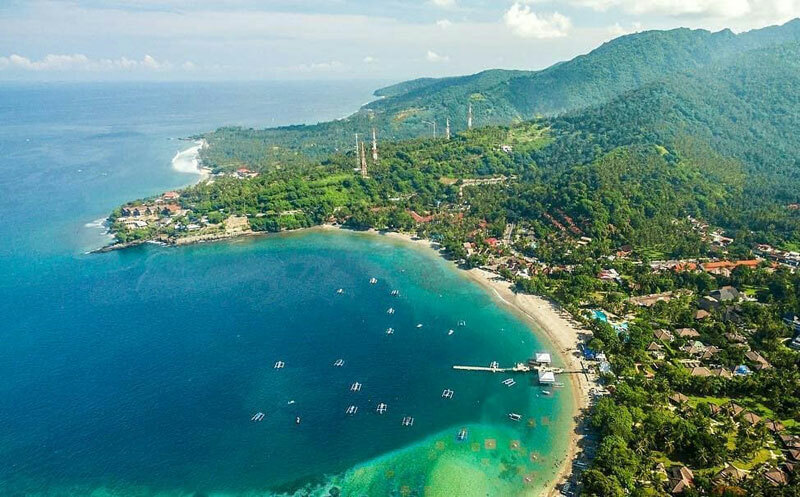 From South to North, passing by the Gili Islands, this must-do itinerary lets you discover the best beaches, sightseeing spots, snorkeling locations and spectacular waterfalls for the most memorable views! 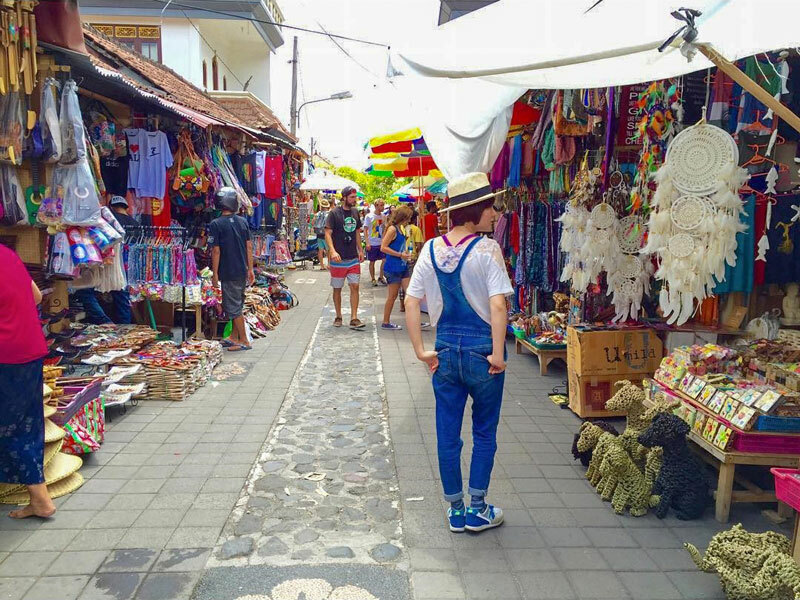 At the end of the trip, you will also be able to unwind with a massage and purchase unique souvenirs from an ultimate shopping session! 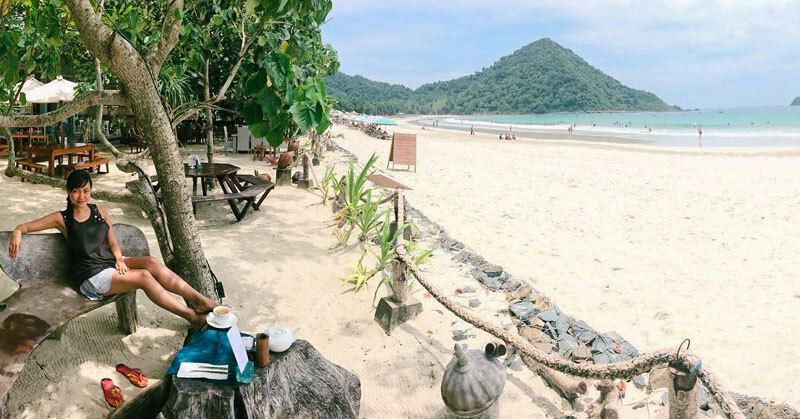 A relaxed welcoming in the South – the Lombok way! 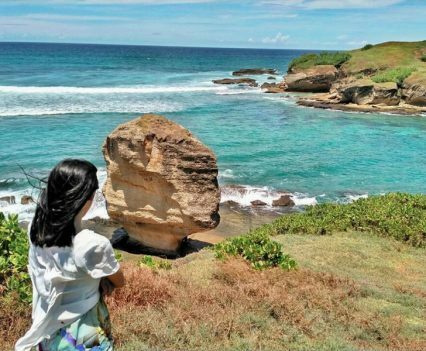 Ladies and gentlemen, welcome to Lombok. 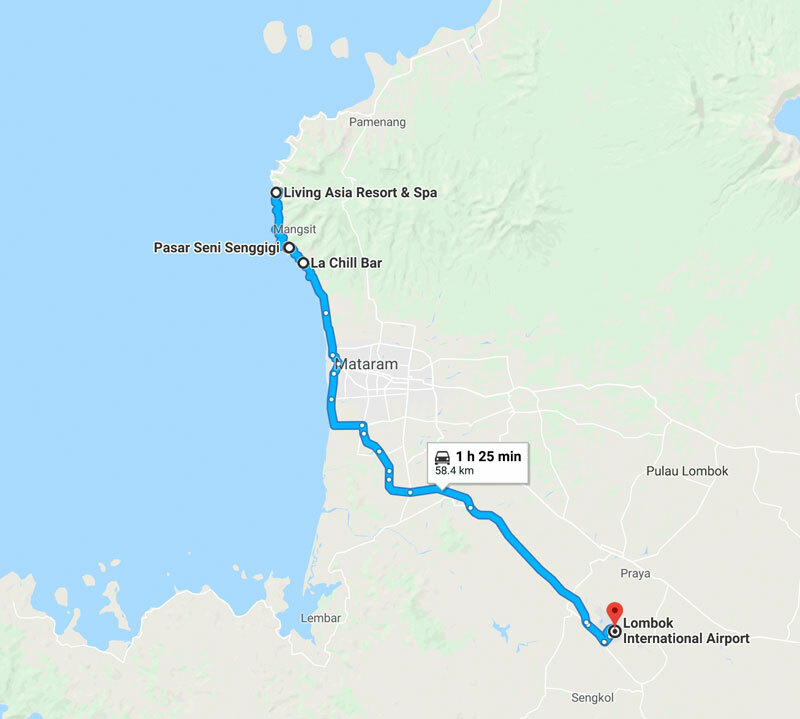 We have landed at Lombok International Airport and you may now switch on your electric devices to peek at TripCanvas’ 5D4N Lombok itinerary! 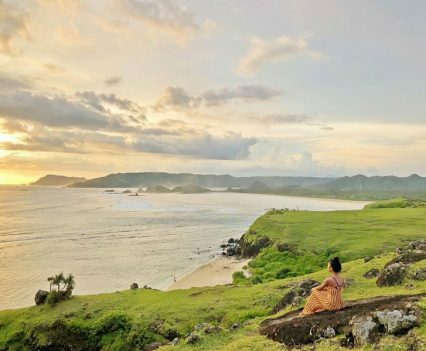 To immerse in the Lombok way of life, you will enjoy your first day with ultimate relaxation by the beach, before venturing to mesmerising sightseeing spots. 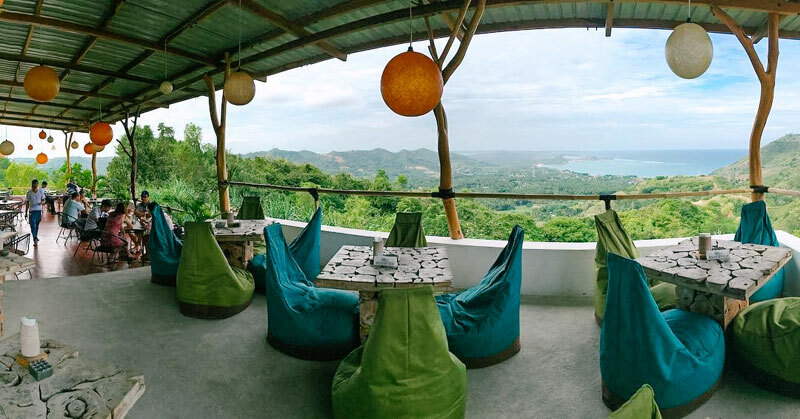 While sunset time atop the hills will be remarkably spectacular, your dining spots will also leave you in awe! 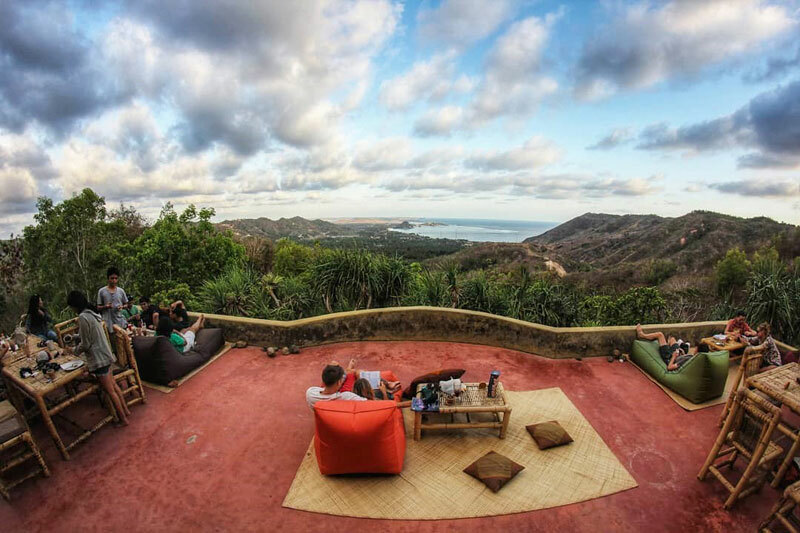 Sit on their tranquil open terrace and soak up a vista of Lombok’s coast and greenery! 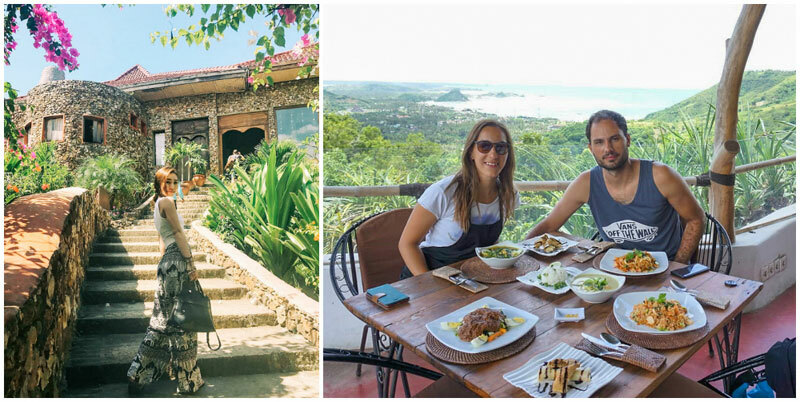 They guarantee good food and good views! 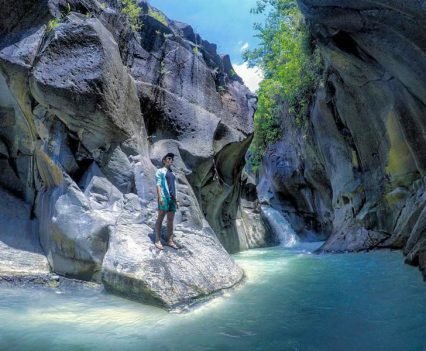 Mother nature is full of surprises, and Lombok is chock full of the beautiful, unique and bizarre! 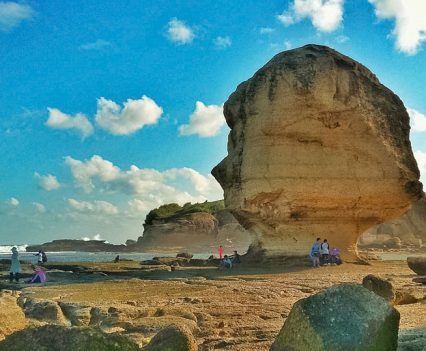 Besides being a beach where you can relax at, Pantai Aan has a special geological feature – it is home to a mysterious and massive rock formation, Batu Payung, that will get all of you curious! 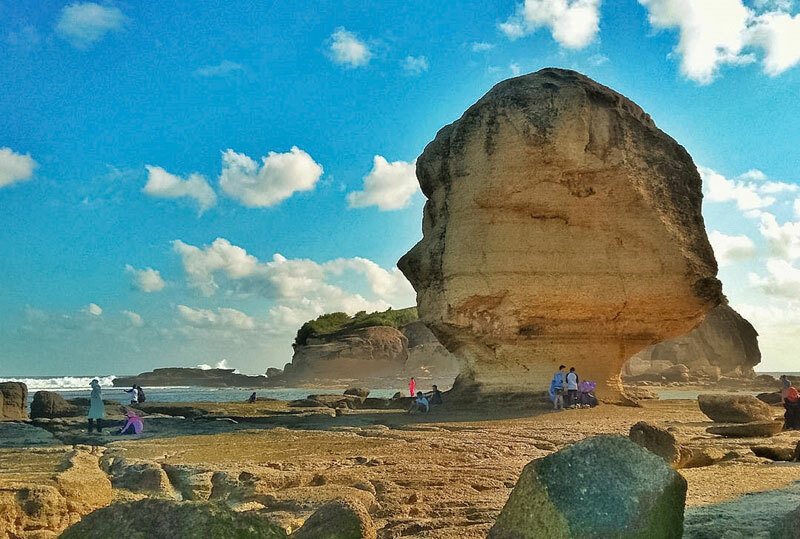 Most travellers visit to capture pictures of this iconic rock formation, which is believed to be the result of waves forces crashing against former cliffs. 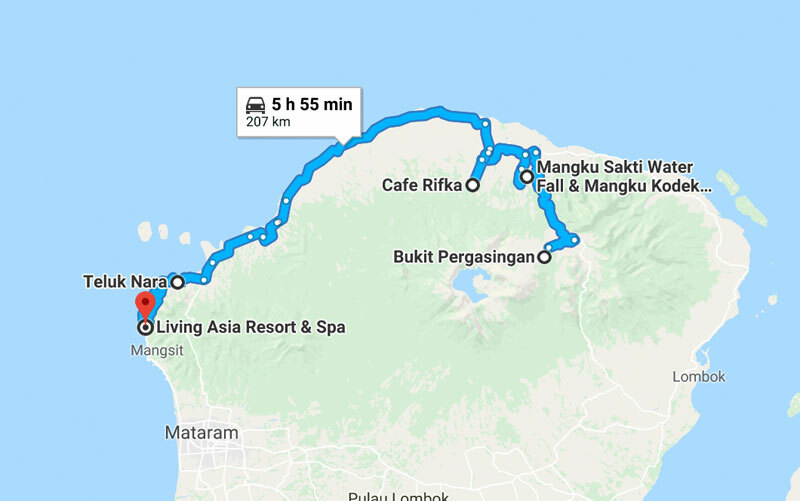 Getting there: From Pantai Aan to Batu Payung beach, you have to walk 1 hour across a stretch of white sand and along the edges of cliffs. 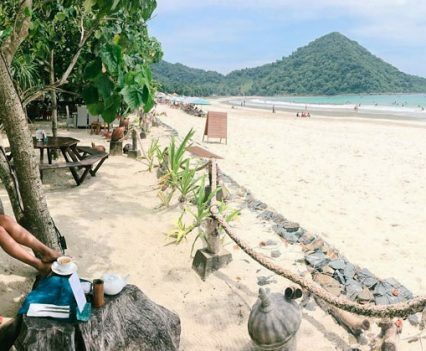 Alternatively, you can go by boat at Tanjung Aan beach, which will only take about 15 minutes. 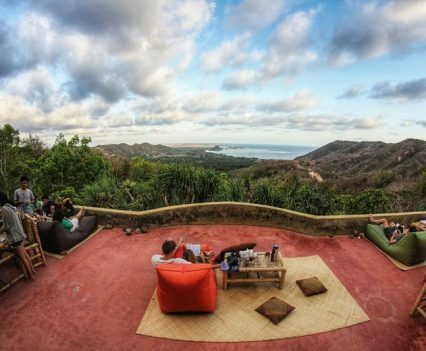 In Lombok, spectacular sunset views are not restricted to the beach only – they can be enjoyed elsewhere, like on top of a hill! 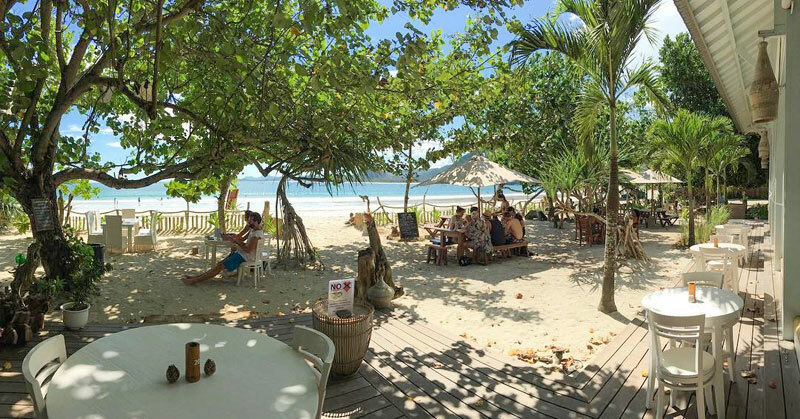 Sit back and unwind with a cold beer in hand – a first day in Lombok you’ll remember forever! 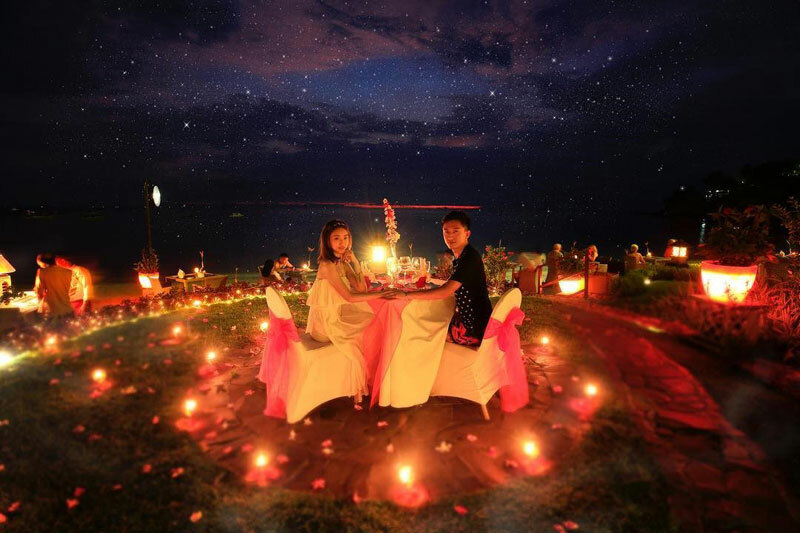 Dine al fresco under starry skies. Begin or end the evening with a glass of wine to match in the scene perfectly. 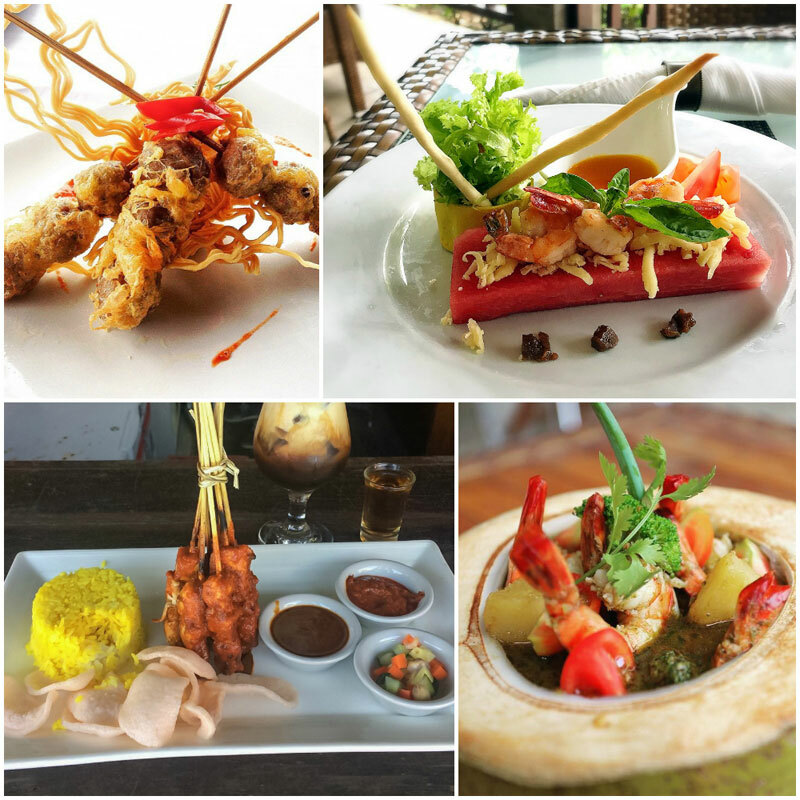 The restaurant’s favourites include their seafood-centric dishes and it is no surprise as Lau Biru features a “sea-to-table” concept! 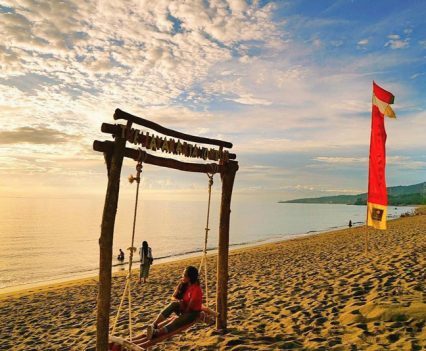 Off to the Gilis for unlimited fun! 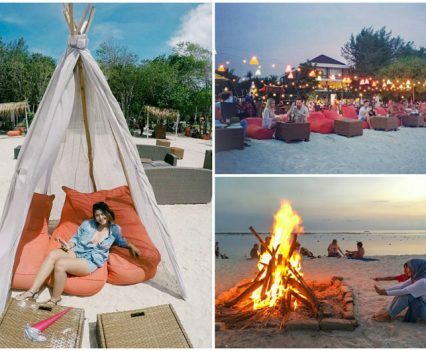 Whether you crave culture, adventure, or simply kicking back on a beach with a cold cocktail, at least one of the Gili islands is sure to be an ideal destination. Get ready to have your head under water! 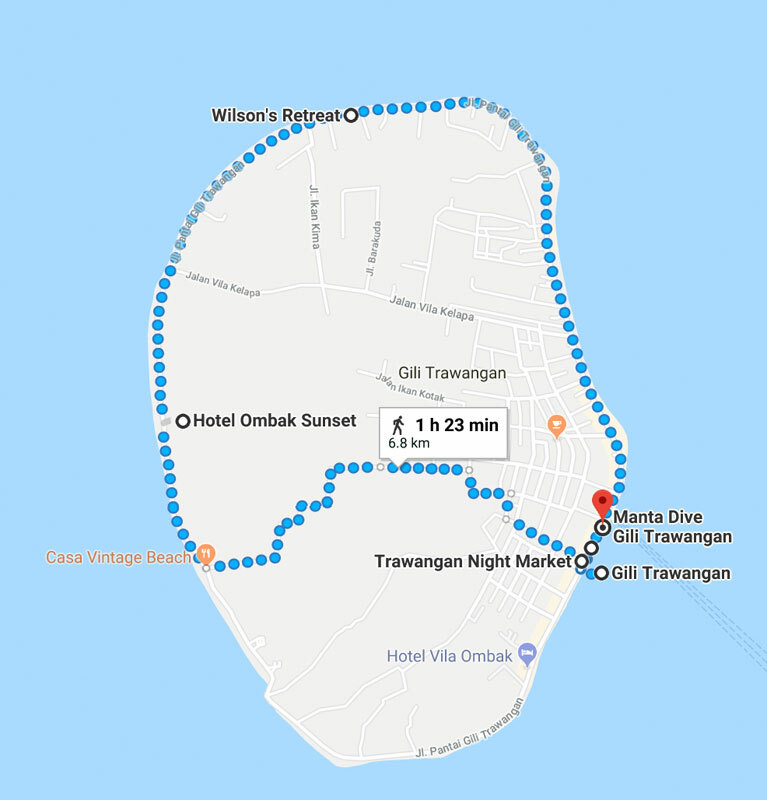 There are two ways for you to get to the Gilis. 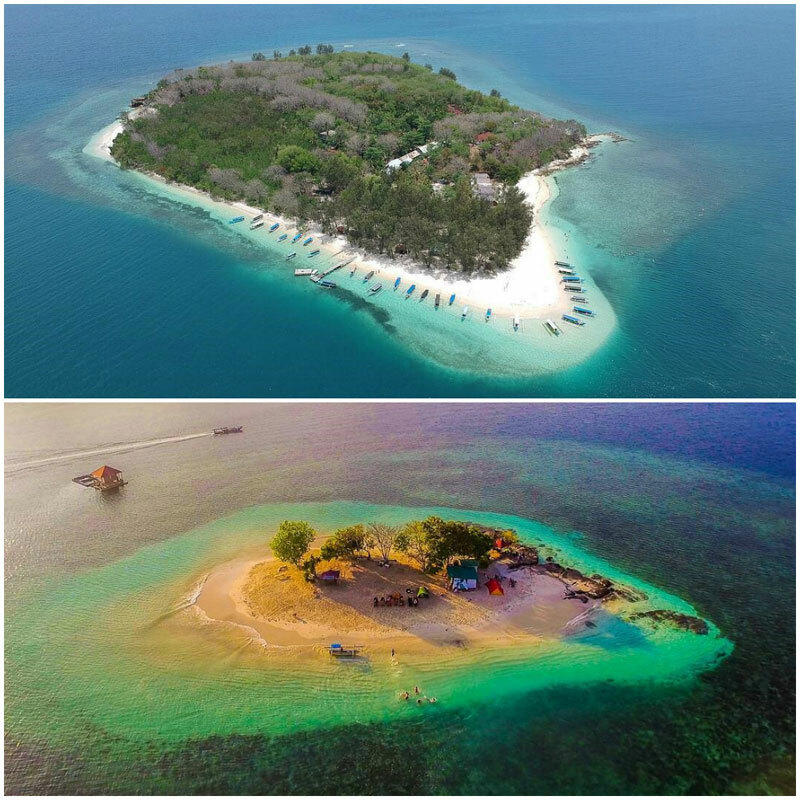 You may choose to take a public boat from Bangsal Harbour (2 hours, $0.60) or simply privately charter a boat via online booking to depart from Teluk Nara (10 minutes to Gili T; 5 minutes to Gili Air and Gili Meno). 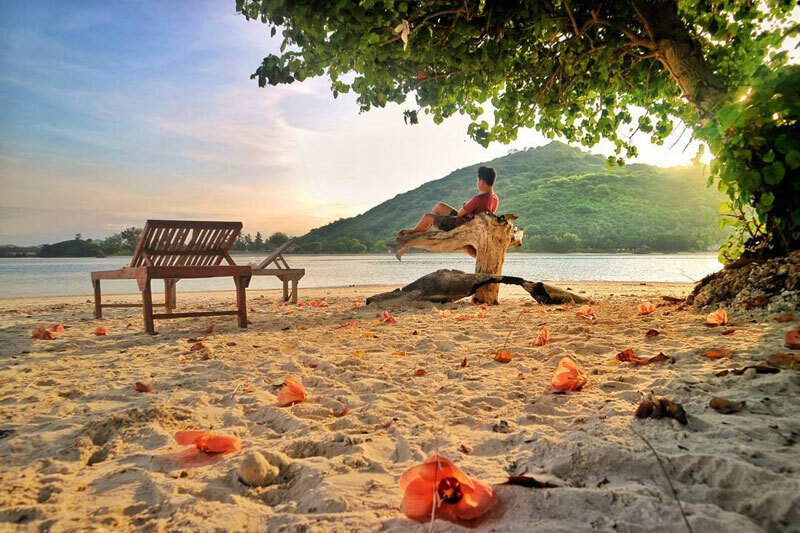 For private boat charter from Teluk Nara, we recommend Lombok Network. Please book your boat ticket prior to your departure date. 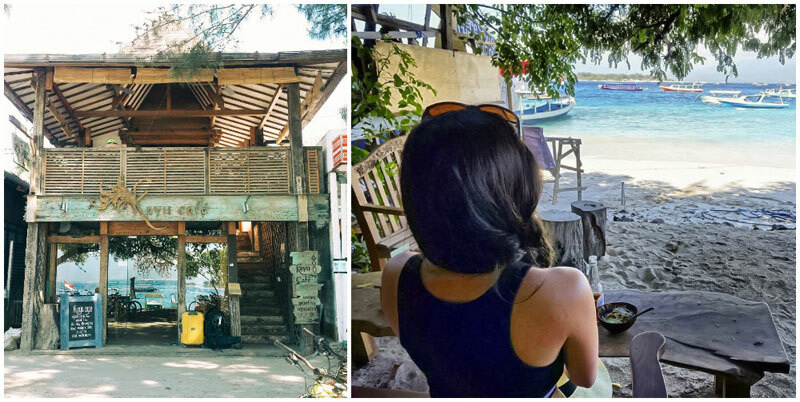 Some hotels on Gili Trawangan provide private boat transfers from Lombok too, so you might want to check with them. Tip: We highly discourage taking the public boat if you have limited time and are carrying luggages.These humble public boats are packed to the rafters with people and island supplies, leaving you shoulder-to-shoulder with the crowds. 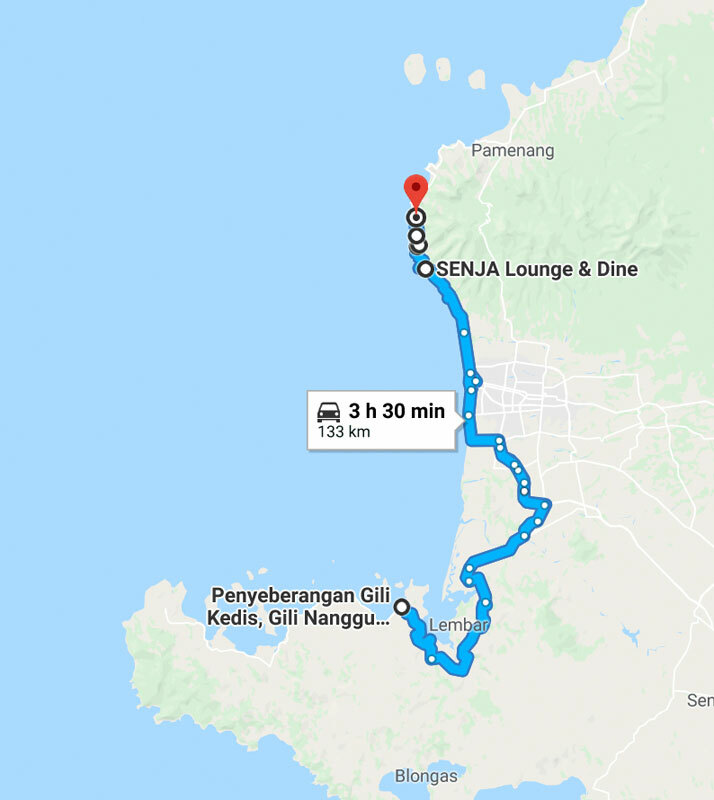 Do note that there are no public boats departing from Teluk Nara (which is only for private charters), you can only take them from Bangsal Harbour. 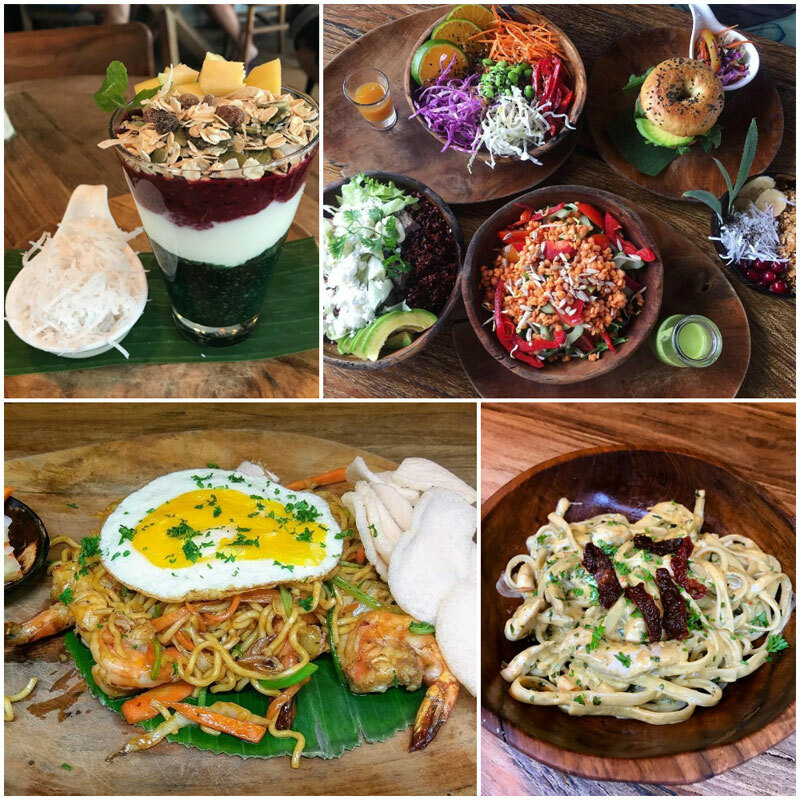 If you fancy a bit of crunch instead of smoothies, and love eating beautifully decorated smoothies from a bowl with a spoon, you are going to adore the ones prepared at Kayu Cafe. 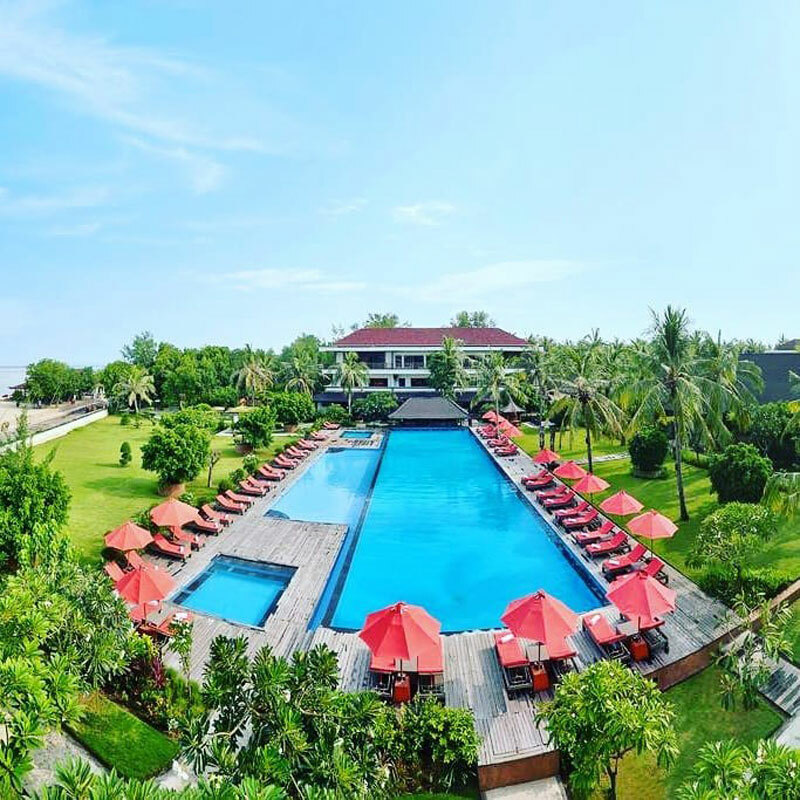 Little bonus – they come with amazing beach views! Dig in their rainbow-coloured goodness-packed recipes; they serve all-day breakfasts and delightful, fresh and crusty baguettes too! 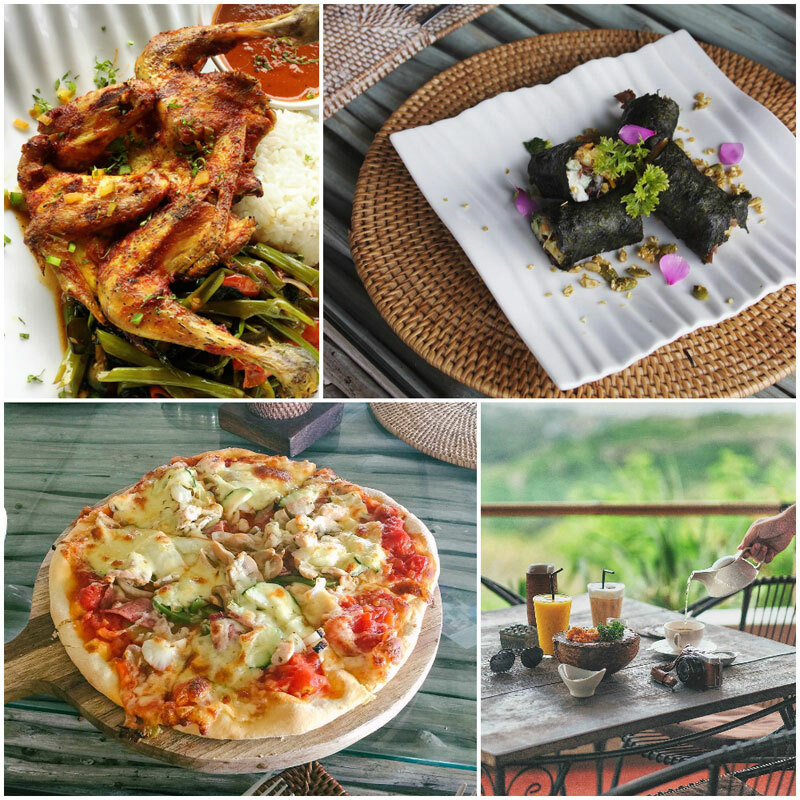 The Gilis are especially known for their schools of fish, turtles and healthy coral gardens. 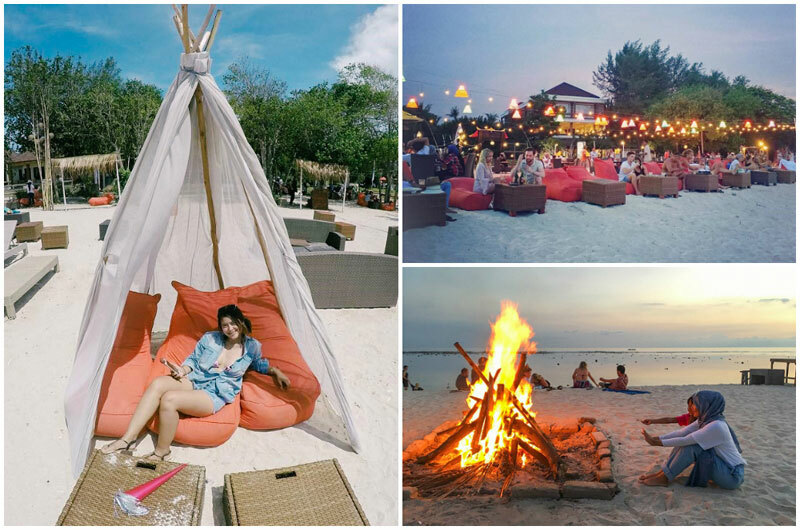 Discover the underwater treasures of these islands in the north of Gili Trawangan. 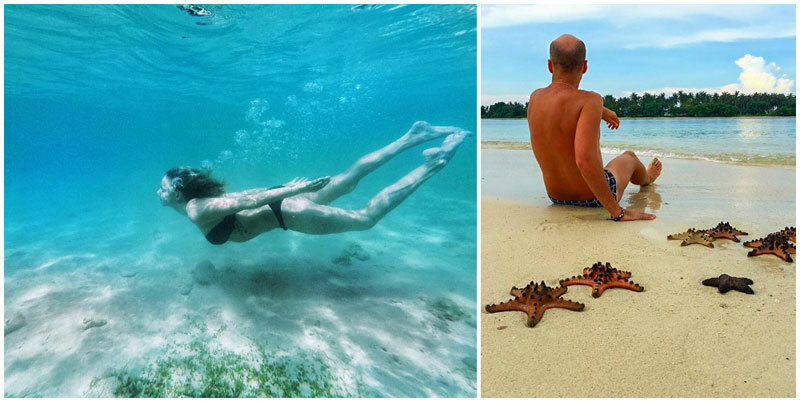 Visibility is near-perfect and it’s great for beginners, as you can snorkel straight from the beach. Psst.. 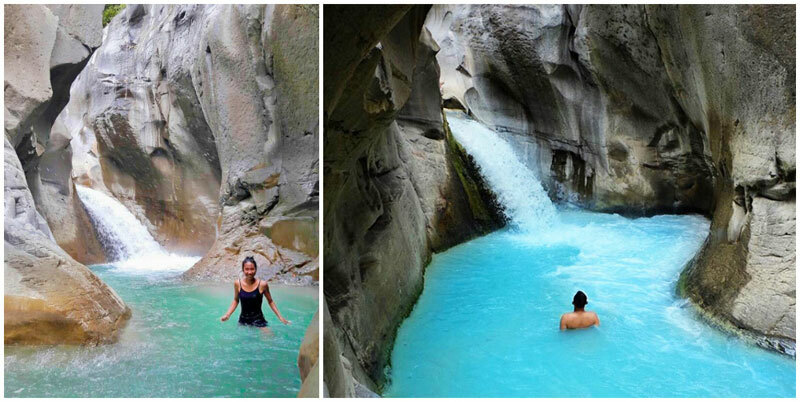 While many may not know of the best spots, we’ll share with you our secret! 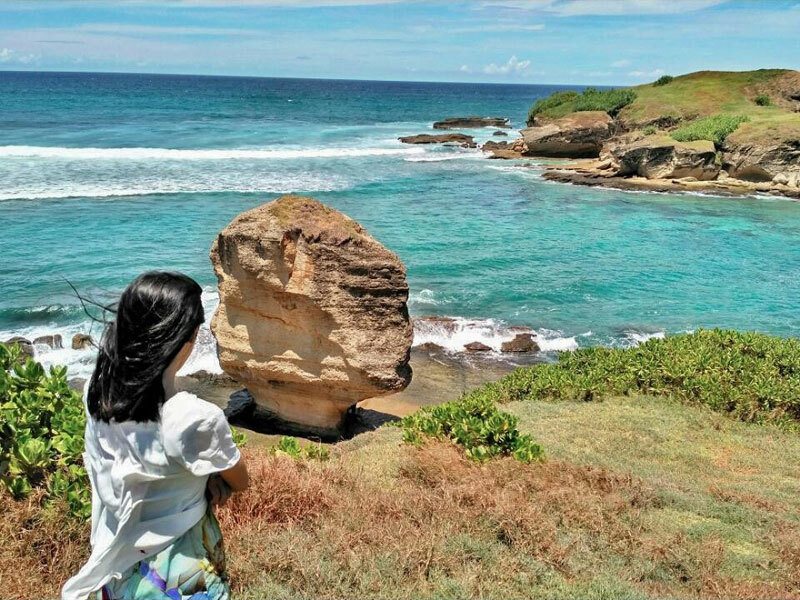 Head straight to Wilson’s Retreat and right at its beachfront, all within swimming distances, fabulously clear water await with an abundance of fish and turtles. 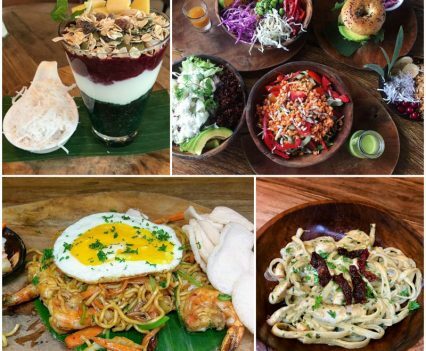 Killer ocean views, sunset exposure and a creative menu from which, for once, you don’t have to feel ashamed about drinks that come looking extra and garnished with pink umbrellas and fruit slices. 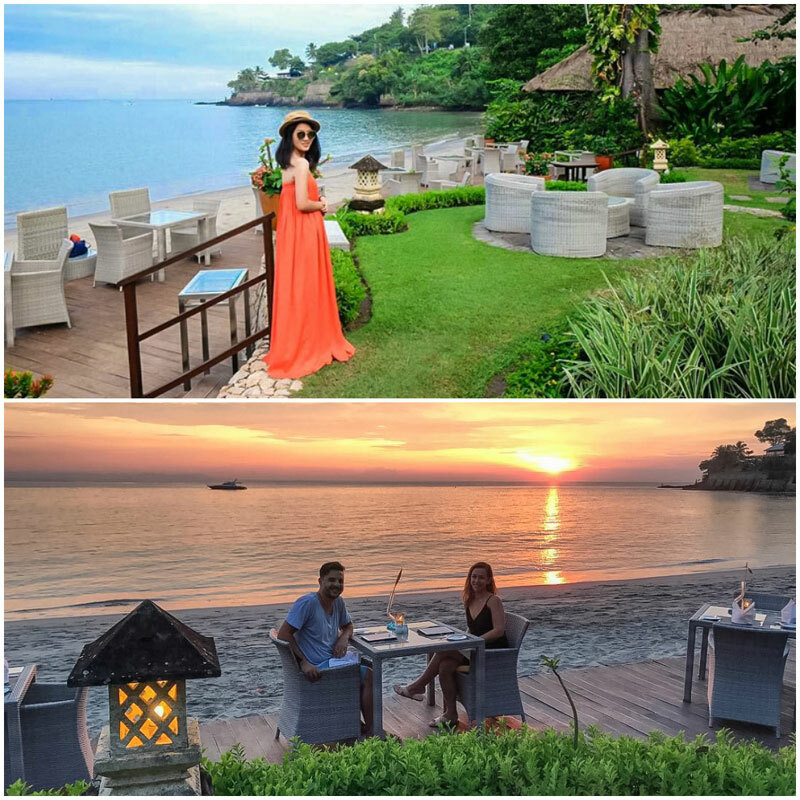 Hotel Ombak Sunset is a prime location to see the sky change from hues of blue to orange to lilac as the sun sets over the horizon while you get boozed in tipples! 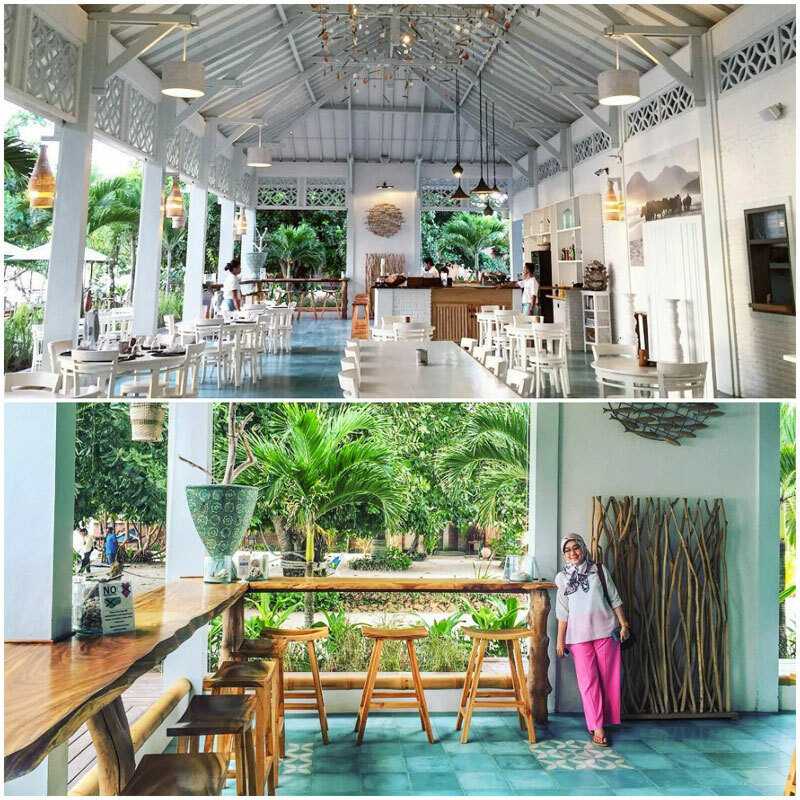 This ultimate casual dining experience promises an ultra-sensory window into the culinary heritage of Indonesia. The crowd raves about their jumbo seafood dishes! 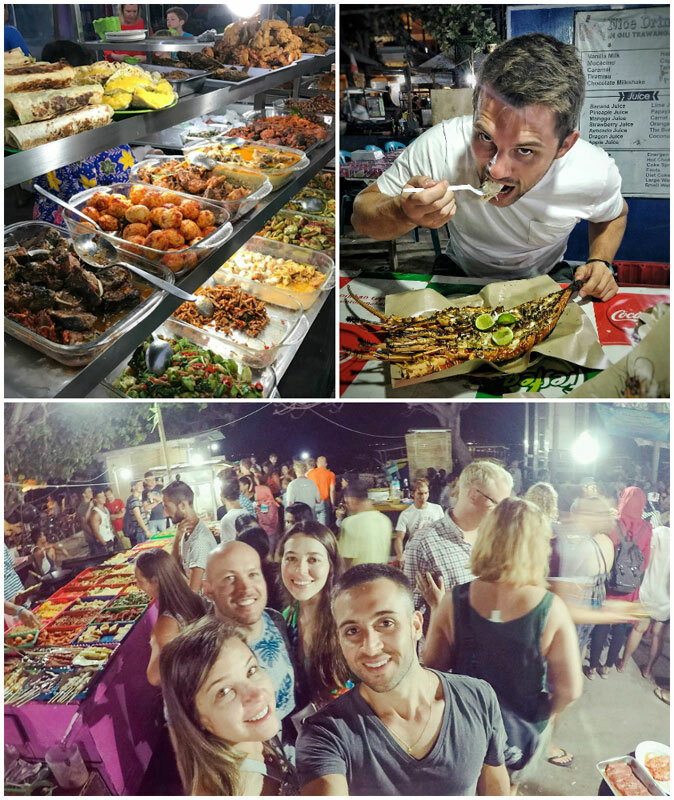 Fresh giant lobsters but also satays and traditional cuisine (if you’re allergic to seafood). 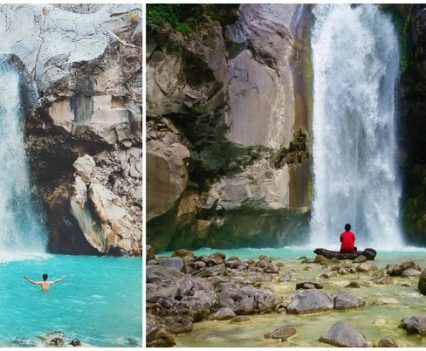 Adventure your way through North Lombok for majestic waterfalls! 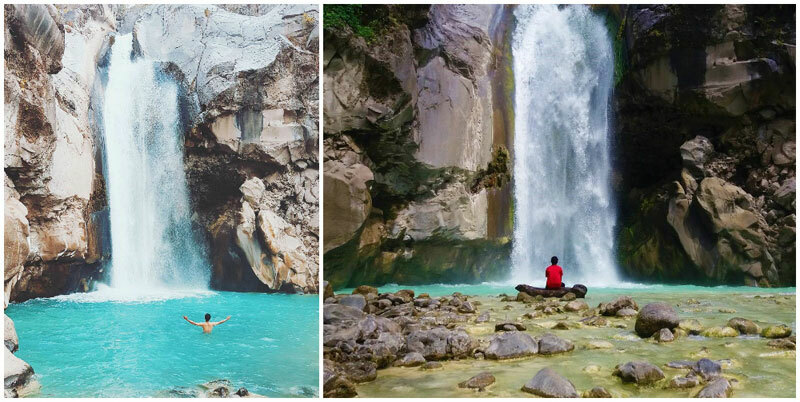 After catching sunsets on the Gilis, time to chase waterfalls! 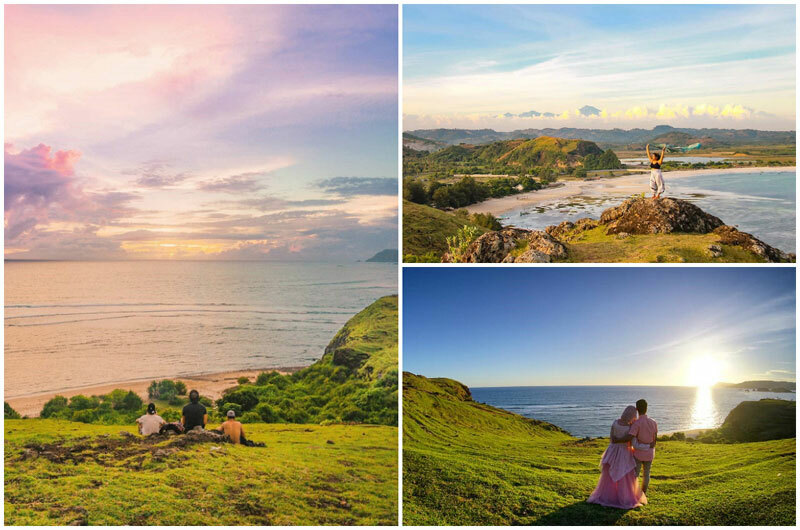 You don’t want to miss your boat ride because there is so much excitement waiting for you in Lombok! We recommend catching the first boat back and packing your own lunch as it’s going to be a long day ahead! 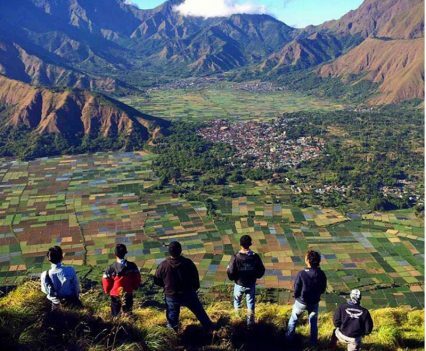 Don’t want to spend 3 days hiking up Mount Rinjani? 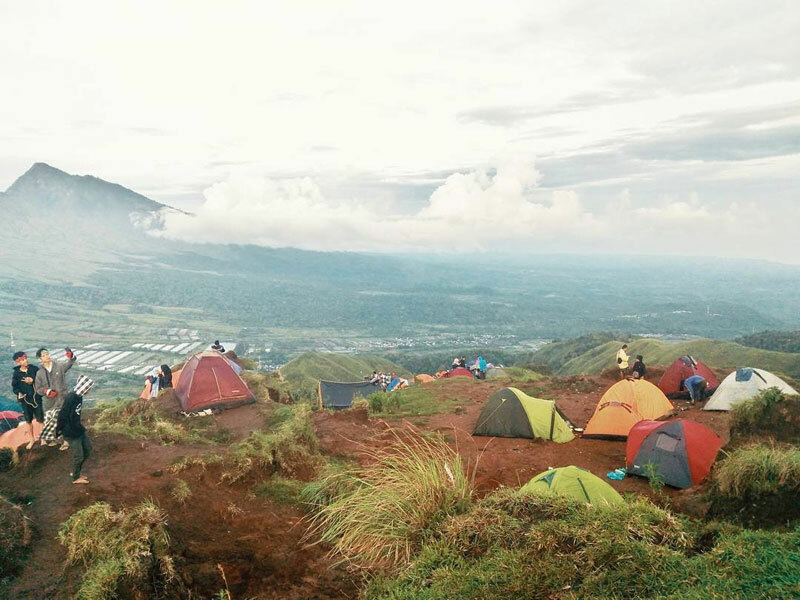 Here’s the “cheat” version – atop Bukit Pergasingan, you can see Rinjani in the distance (sometimes even Mount Agung!) 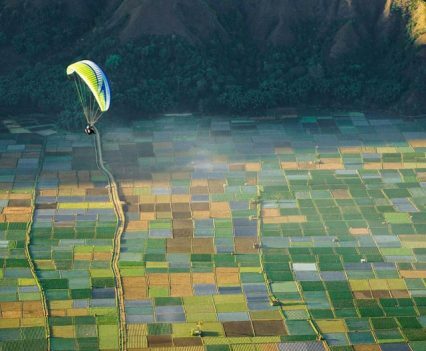 set among a vast stretch of paddy fields. P.S. 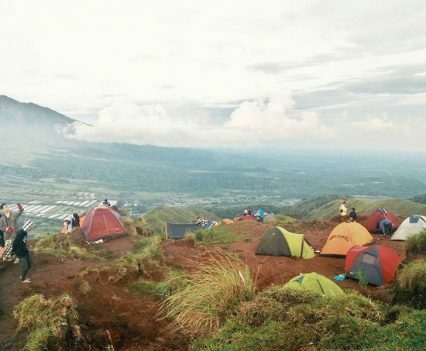 The hike up might take 2 to 2.5 hours, depending on your stamina, so you might spend up to 5 hours getting up and down the hill! Hence, we recommend starting as early as possible! 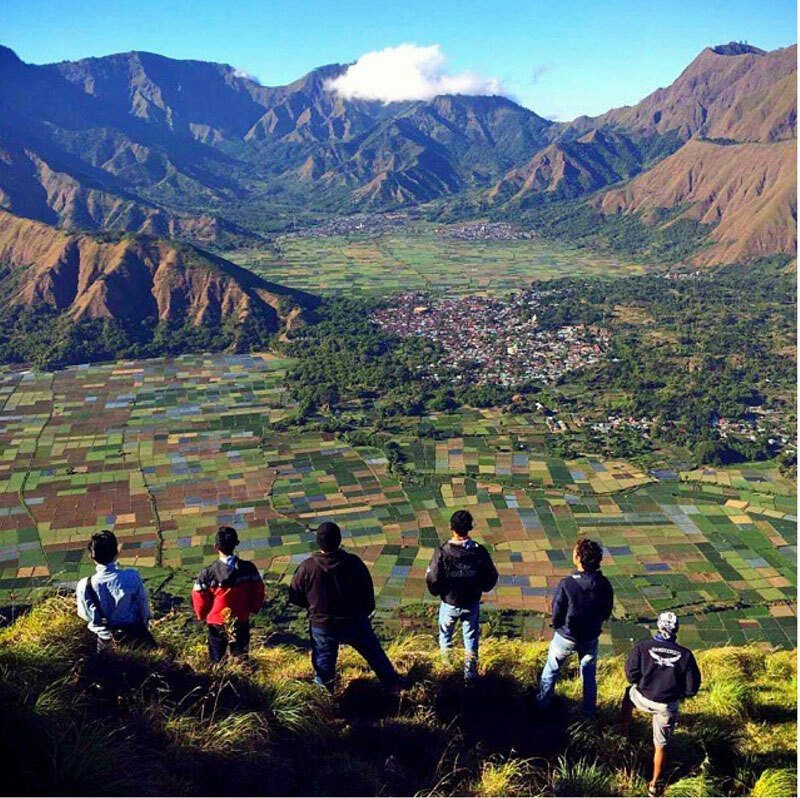 Getting there: Pergasingan Hills is located in Sembalun Lawang Village. 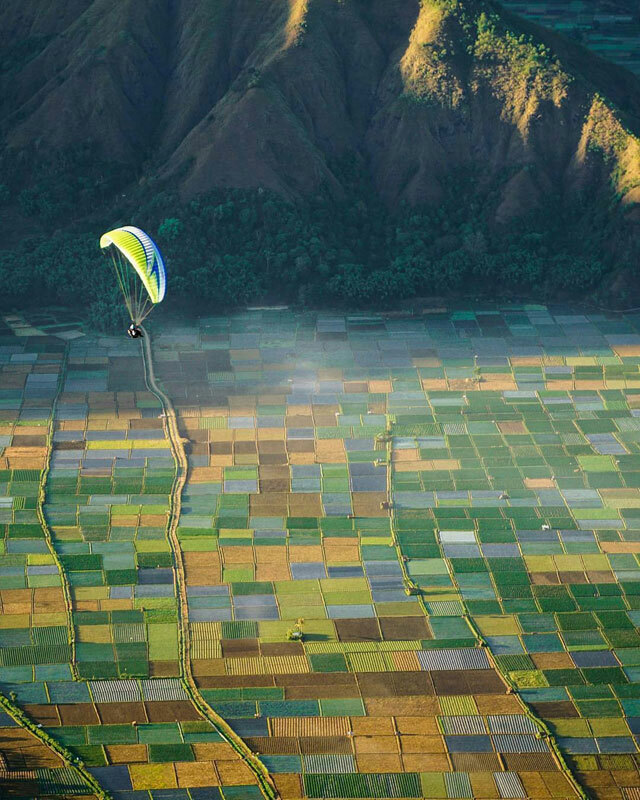 On the slopes of Mount Rinjani sits a beautiful waterfall, ideal for a dip and unlimited fun! Getting there involves going along windy roads, but like the light at the end of the tunnel, it is oh-so worth it! 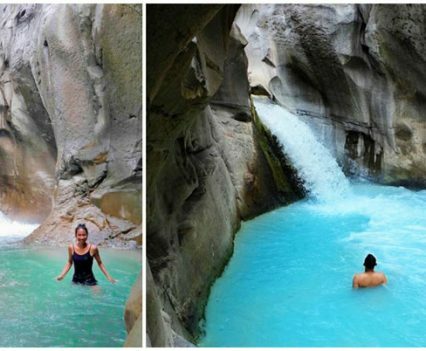 The water is clean, pure and unpolluted, which makes it the perfect spot to slip in a majestic swoosh and refresh yourself! P.S. Trekking to the waterfall takes around 1 hour, so if you are too tired from the previous hike, you might want to skip this! 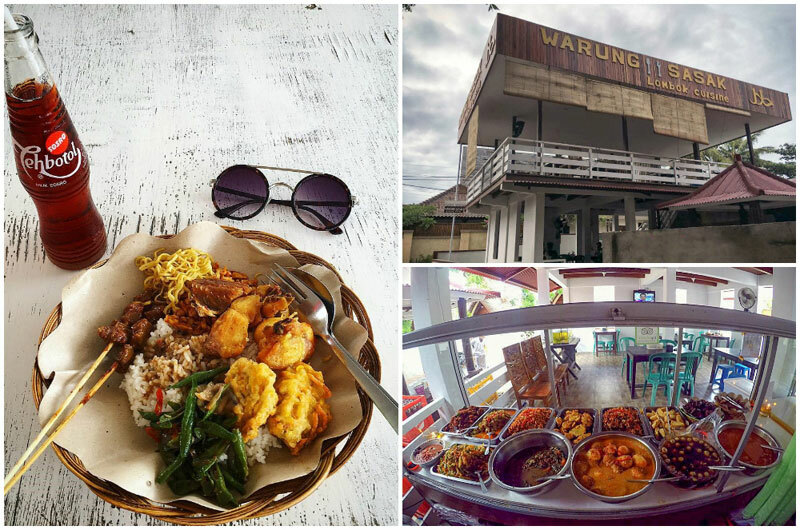 You know those small eateries only locals know about? 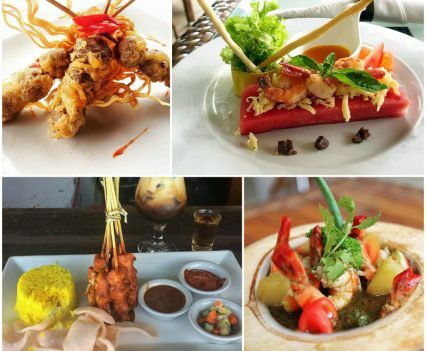 Indulge in everything local from cuisine to traditional massage! 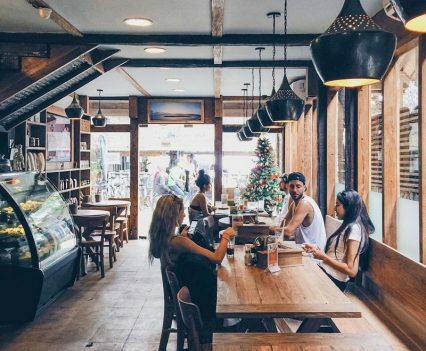 Live it up the local way on your last full day! There’s more than just the three Gilis! 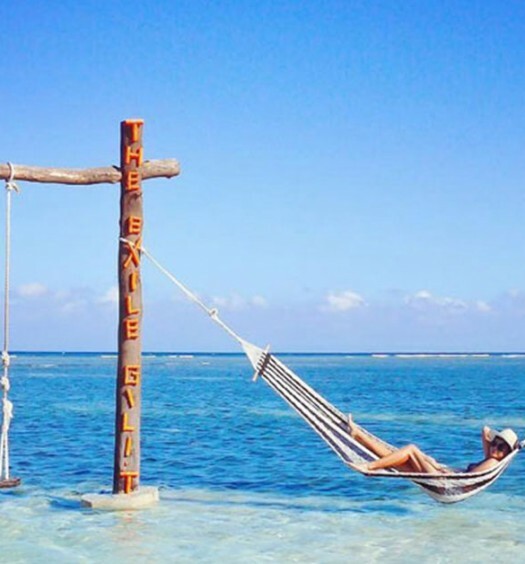 A boat trip to any Indonesian Island is likely to be a pleasure, but Gili Kedis and Gili Nanggu – with their brilliant navy blue seas to the lightest, clearest turquoises imaginable – offer iconic landscapes, making them ideal for spending the day relaxing in the sun. 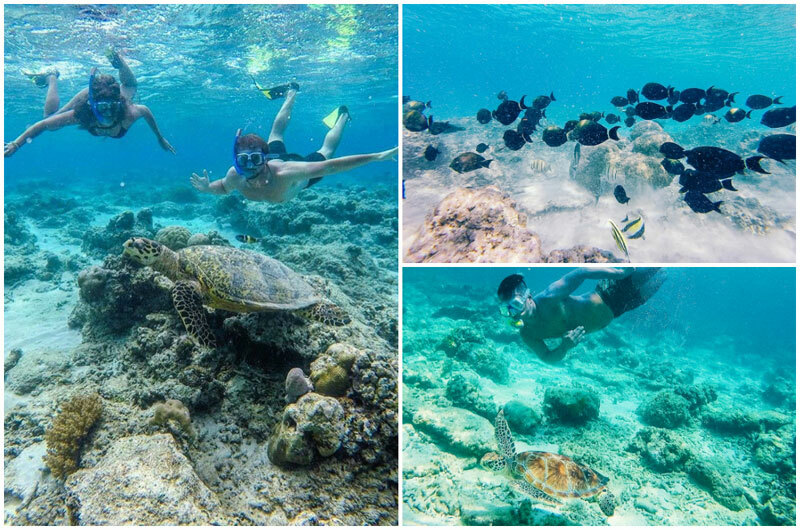 Needless to say, they are the best places to snorkel in. 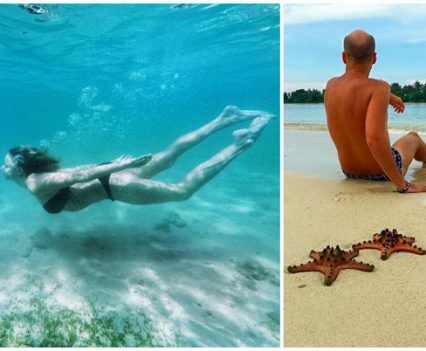 But the real steal is this – the giant starfishes in the shallow waters around the two deserted islands! 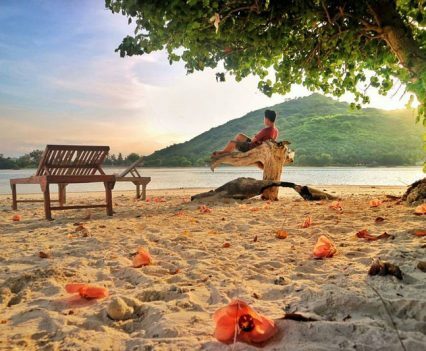 Tip 1: To make the most of this day in Lombok, rise early. 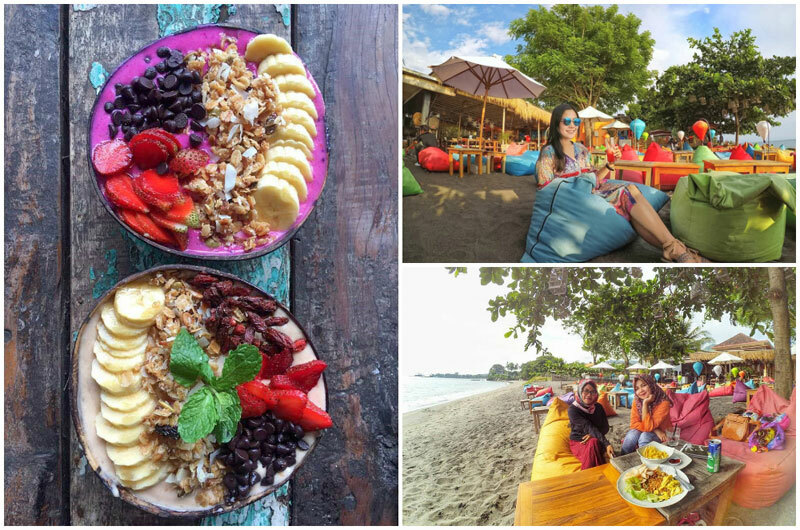 We recommend starting the day at 6am and set off at 7am to catch your boat to Gili Kedis and Nanggu, so that you can catch your late lunch back at Lombok main island at around 1.30pm! Tip 2: We highly advise you to book your boat transfer a few days prior to your tour to ensure boat availability! 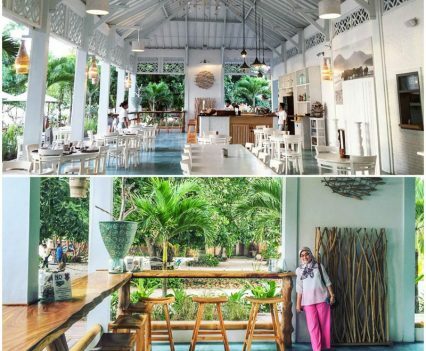 One of the best parts of your vacation in Lombok will be to experience local culture and traditions, and you can do so just by dining at this authentic warung (casual dining) that offers all the flavours of traditional Sasak cuisine. 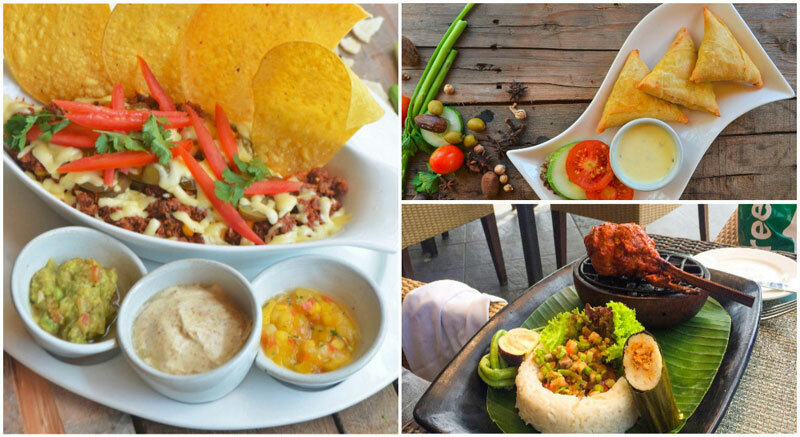 We recommend their Ayam Taliwang and Spicy Tempe – a mixture of sweet and spicy that will surely not disappoint! 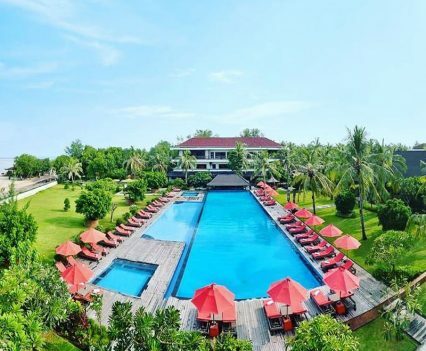 A good swim, a great meal and lots of fun simply call for nap time by the beach, to the sounds of waves and a gentle caress from the ocean breeze. 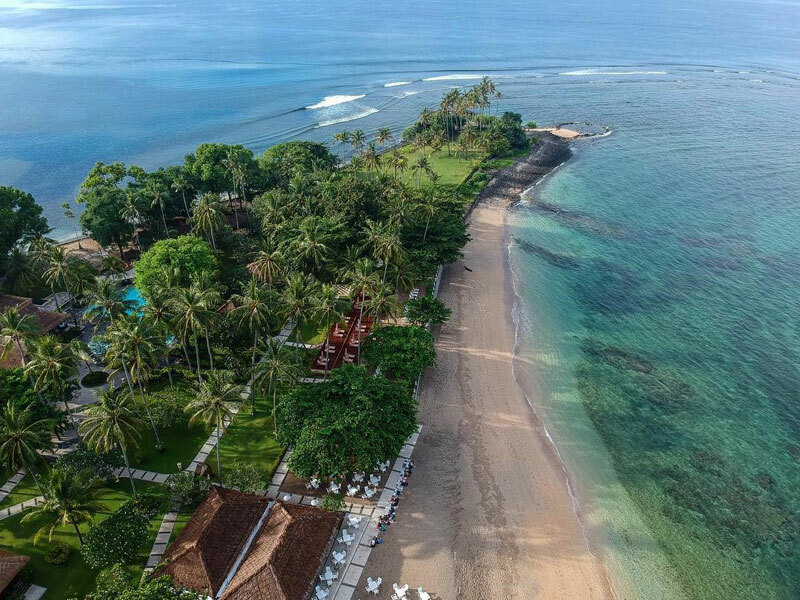 You will find it oddly soothing to enjoy a post-lunch snooze and chill at Senggigi Beach in the afternoon (under a comfortable shade, of course! ), yet few steps away from the hustle and bustle of this touristy area! 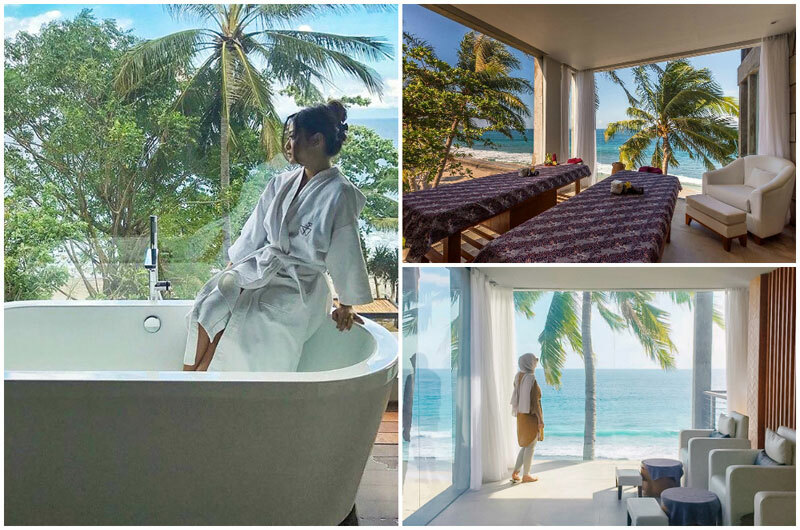 Slotting a massage at the spa in your holiday itinerary is already a wonderfully indulgent experience, but spending that time in a room like the ones at Soul Bliss Spa, with a great view over the ocean takes it to another level. 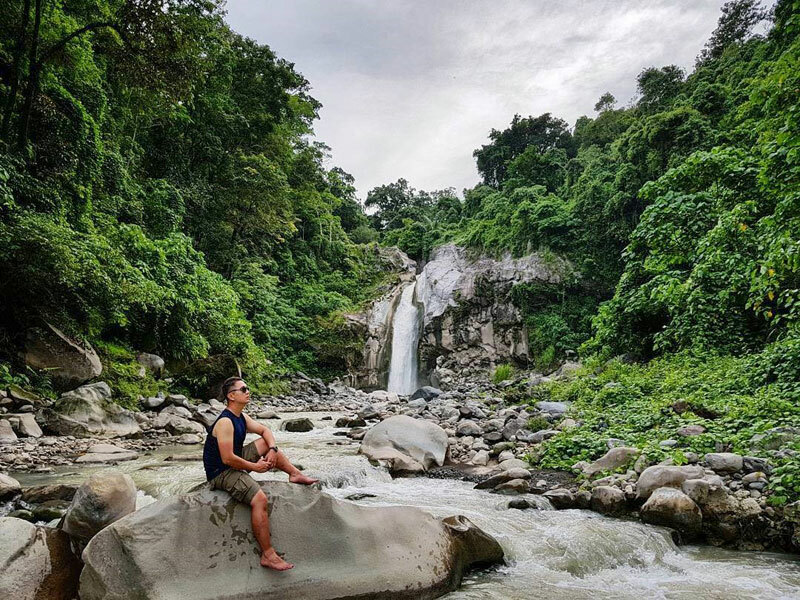 While most people (including you) keep their eyes firmly shut (or even doze off) while getting a massage or a facial, a treatment at Soul Bliss Spa is sure to keep you awake as it offers panoramic views of the great outdoors! 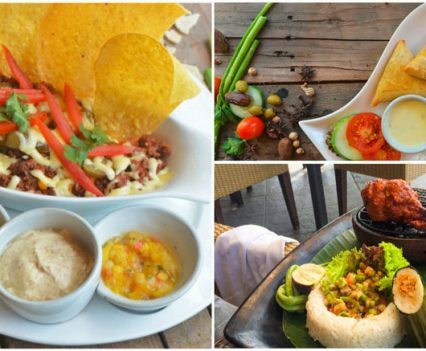 Your last night in Lombok deserves to be a memorable one! 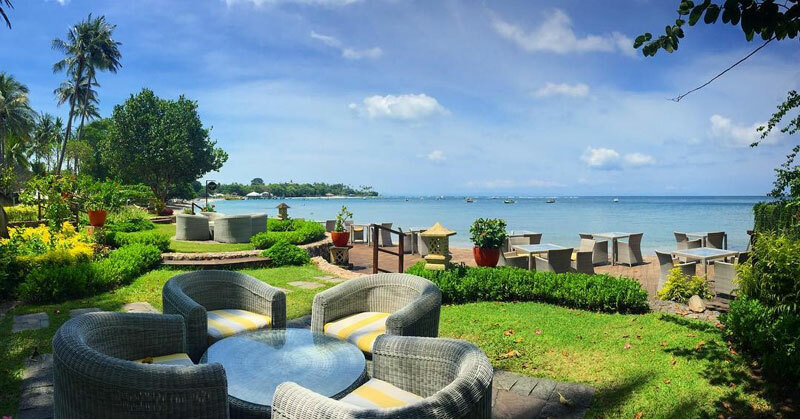 With lounge music, a vast menu and daily sunsets, SENJA Lounge & Dine is the perfect spot to start planning your next visit to Lombok! 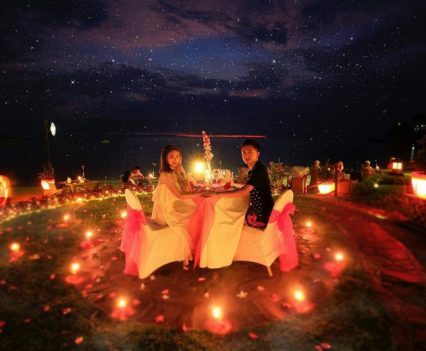 Your candlelight dinner is served right on the beach. The highlight? 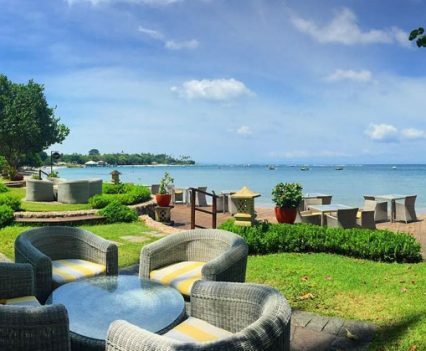 Ocean views, great food and tickling cocktails! It is going to be a long night! After a long night of chilling and drinking and a well-deserved rest, time to get rid of that hangover! 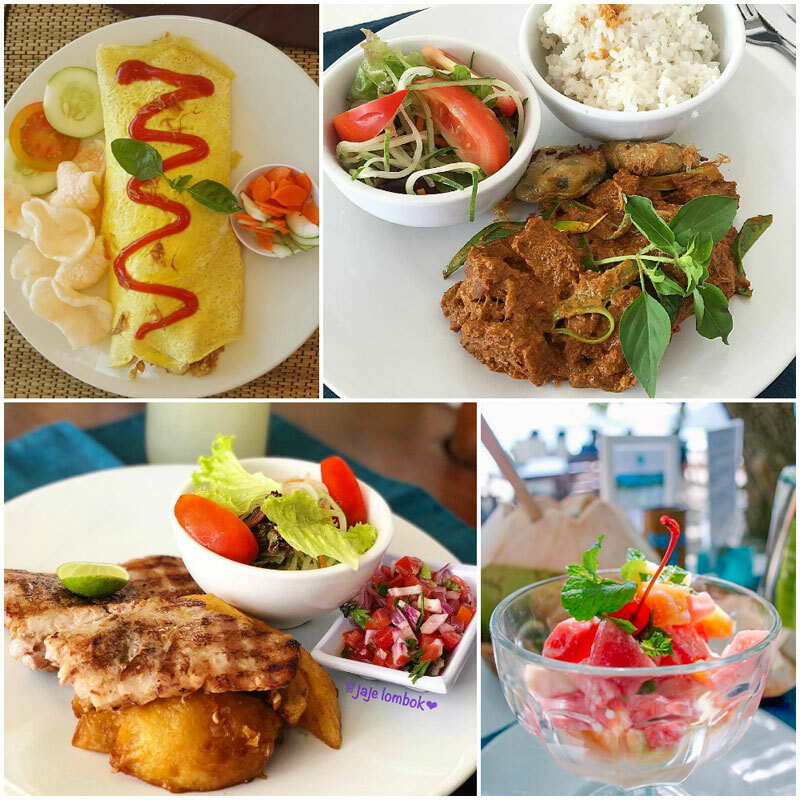 Your last brunch in Lombok has to be a memorable one! 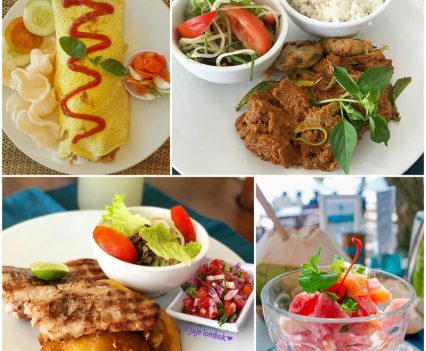 Located on the beachfront, this super chill spot has more that just its name – sit back and relax in one of their colourful bean bags while you dig into smoothie bowls, baguette and small bites to share accompanied by healthy detox drinks and a side of sea views – Bon Appetit! 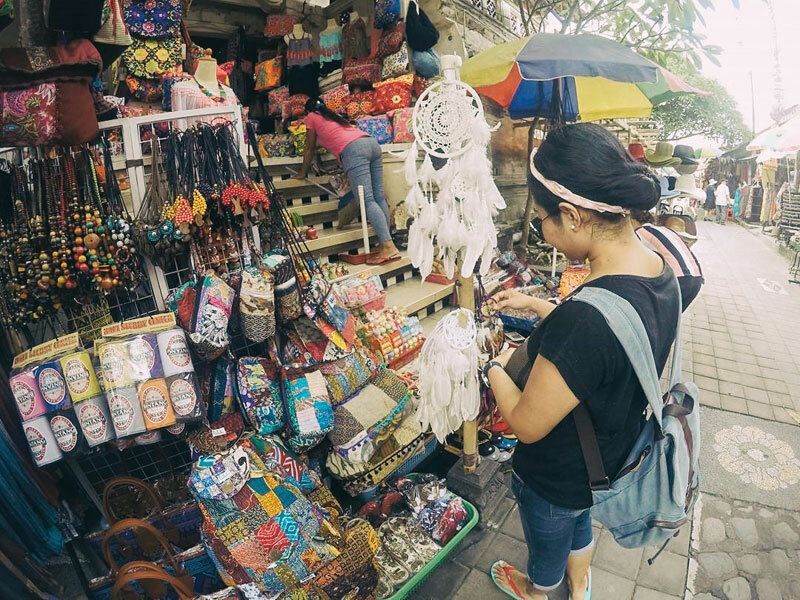 Senggigi Market (or otherwise locally known as Pasar Seni) is a must-see for any visitor to the city. 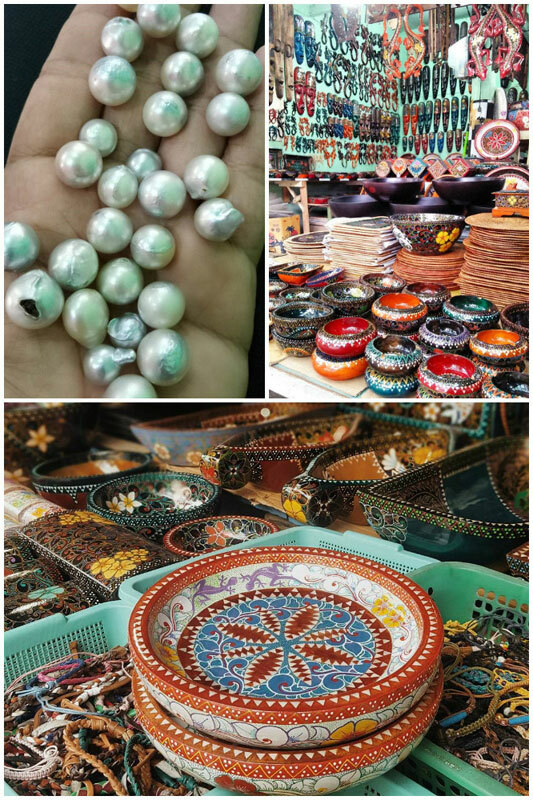 Shop at for gifts and souvenirs at its myriad stalls! While it’s possible to bargain, we recommend heading there before peak time (afternoon). 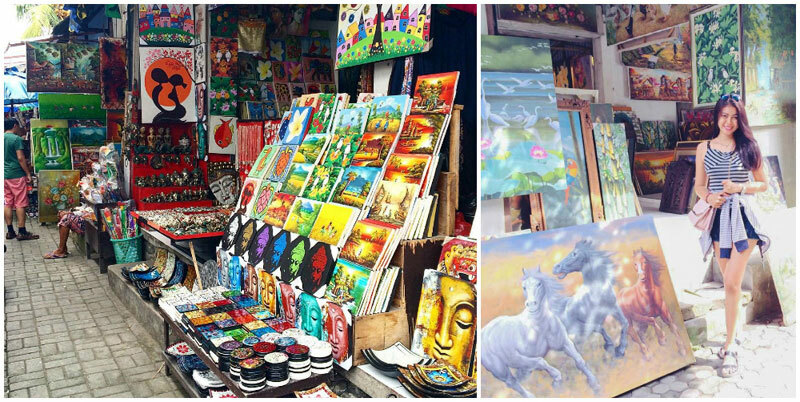 From the traditional to the downright tacky, you can find anything at Pasar Seni, usually at incredibly low prices. 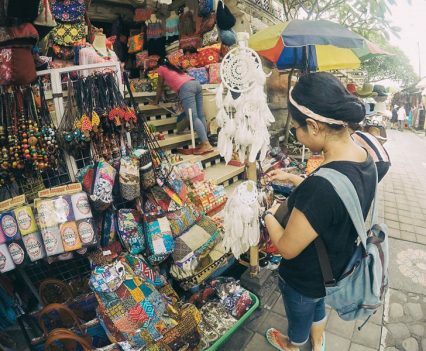 The market sells a huge array of items such as unique local handicrafts, local sasak spices as well as clothes and everyday items! 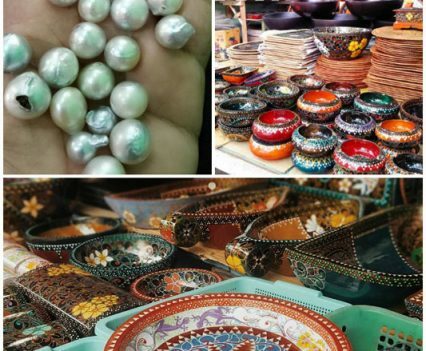 You can find good bargains for seawater pearls around the market too! Some notes left in the purse? 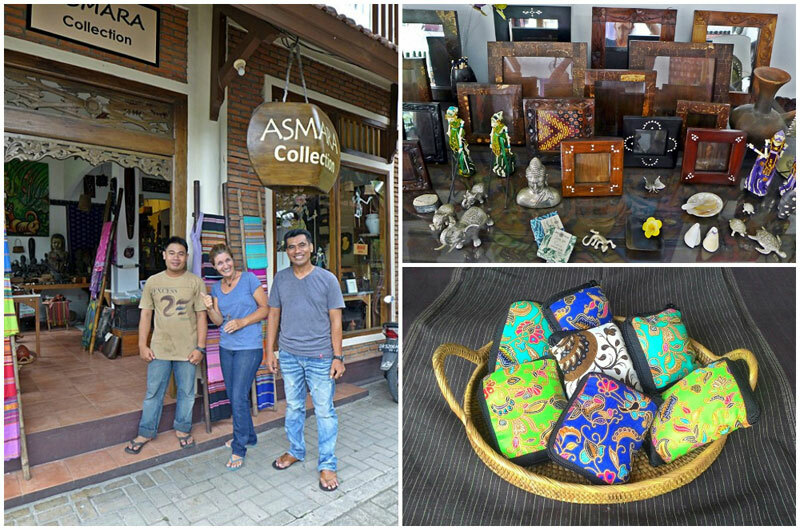 Before departing to the airport, head to Asmara Collection. 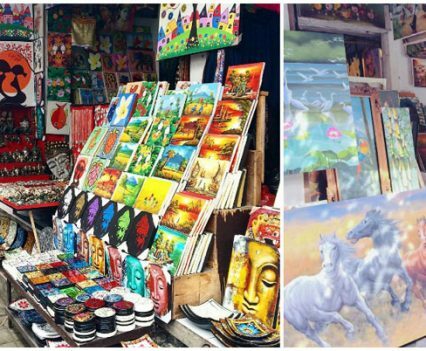 While it’s known for its restaurant, the backyard hides a secret art collection that’s for sale and worth every penny! 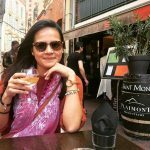 Expect quality items at super affordable prices! From sculptures, wall decorations, clothes, bags to photo frames and other local art objects, you are bound to empty your purse there! Tip: Free transport is offered to nearby hotels if you require it. 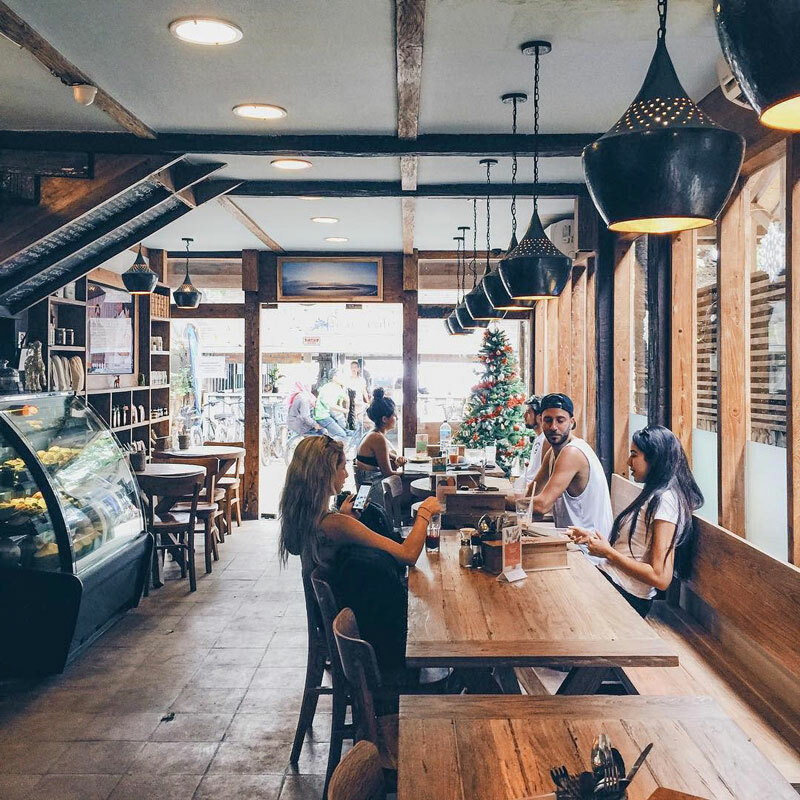 We feel you; post-vacation blues emerge as soon as you are on the way home! 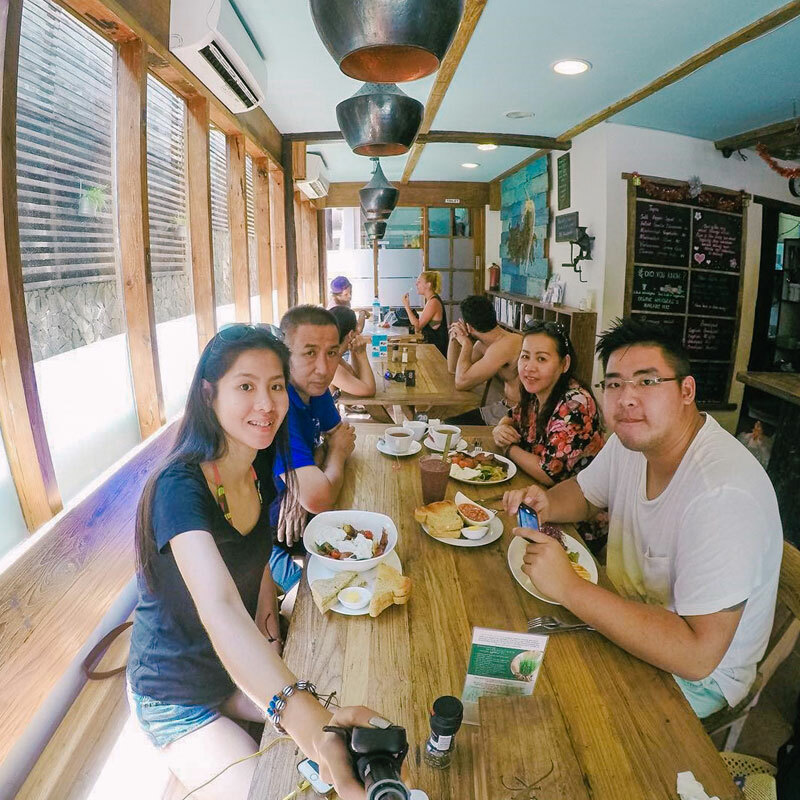 All you have to do is plan another memorable trip 😉 And for now, have fun going through your photos and captured memories! 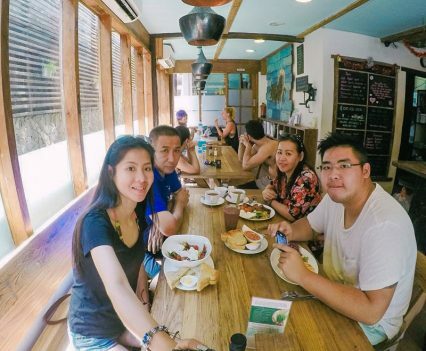 Share your experiences and vacation stories with friends and family! 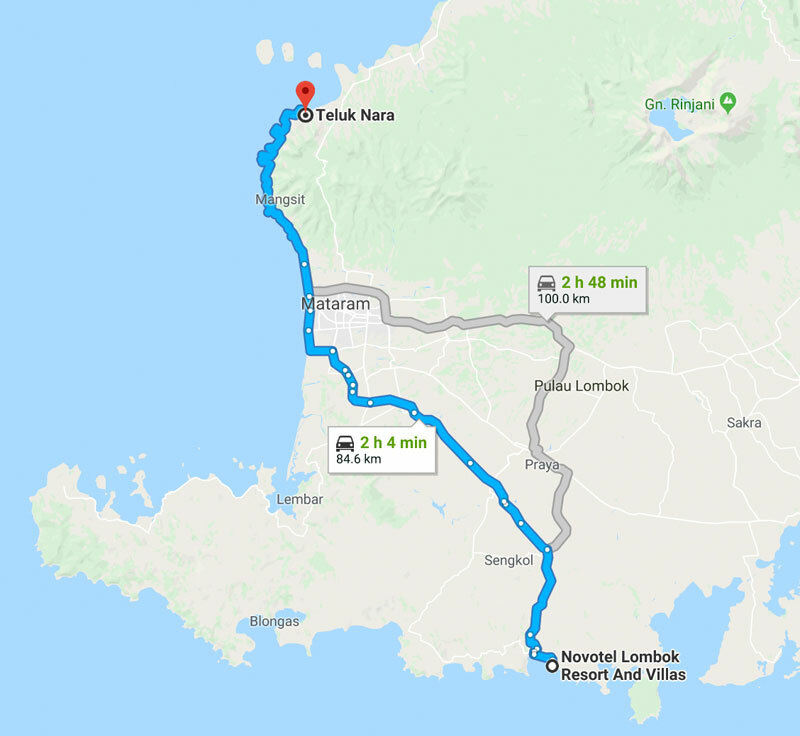 With excellent reviews for his service and reliability, a good sense of humour and all the necessary knowledge, Lombok driver Mr Gus is someone willing to go the extra mile for your holiday in Lombok. 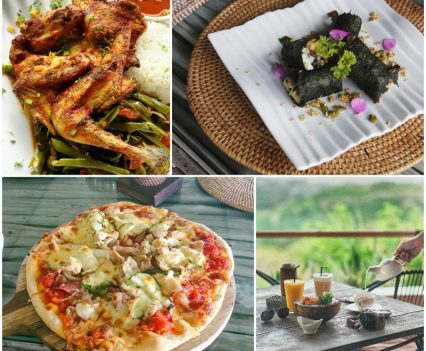 Most of his packages are inclusive of parking fees, toll fees, and fuel costs, but you might top up a little for his meals (or simply share platters with him – the Asian way!). 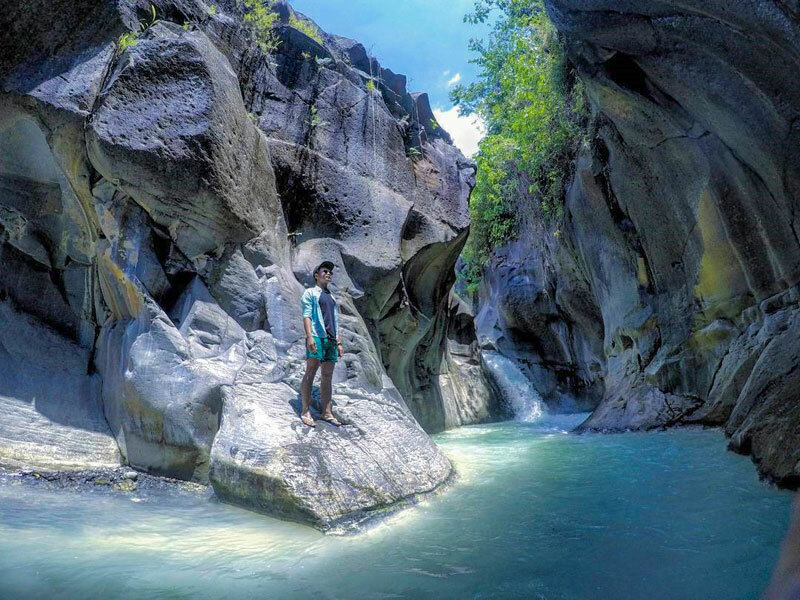 Aside from your set itinerary, Mr Gus will be more than happy to help you discover places only locals know about, so you’ll get to see the whole of Lombok! 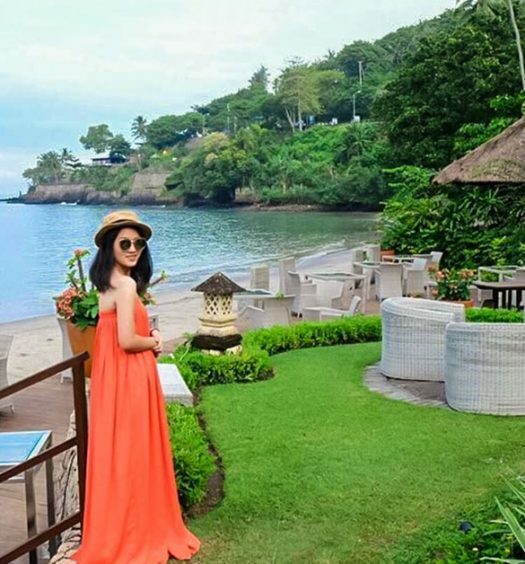 If you prefer to travel at your own pace and favour freedom and flexibility, you might want to consider the car rental services of Kuta Lombok Car Rental (you can take a taxi to Kuta first or request airport pick-up). 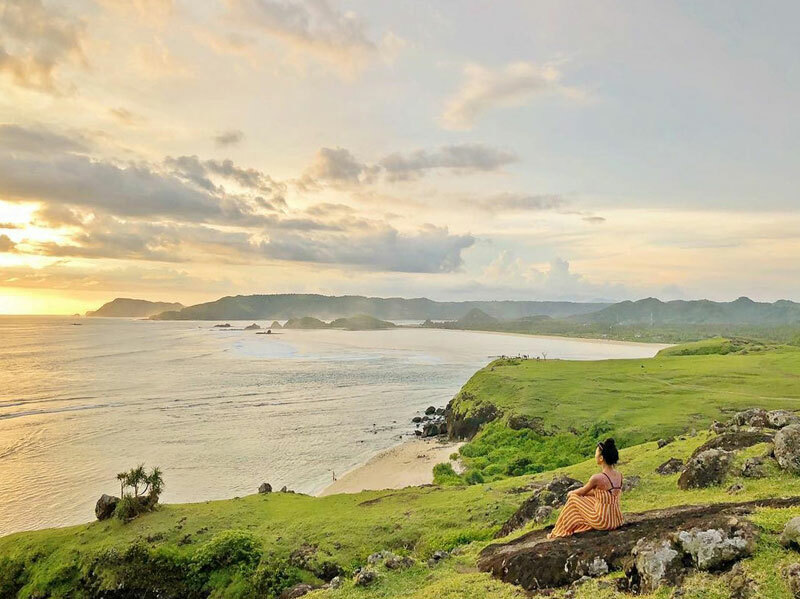 Besides Bali, Lombok is your best bet for untouched beaches, crystal clear waters, and majestic mountainous landscapes. 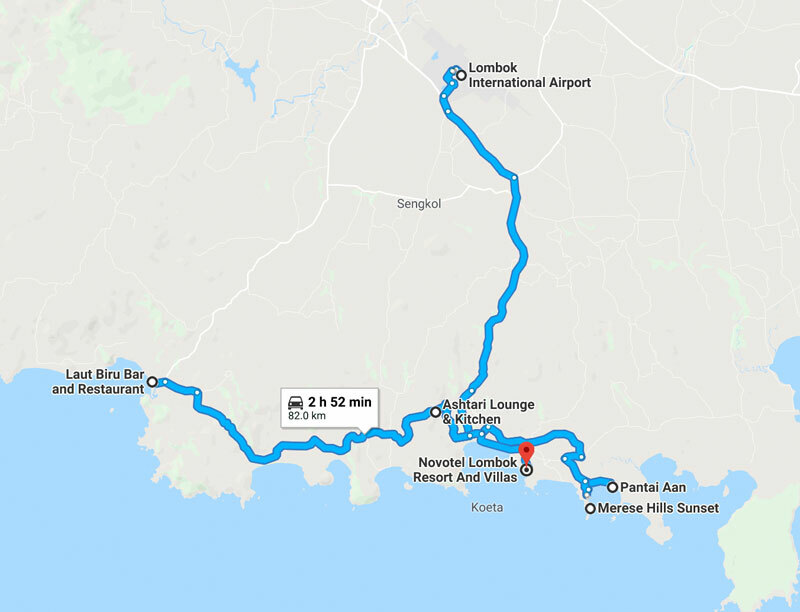 With our itinerary, all you need to do is to book your flights, accommodation (as recommended), contact your driver and go! 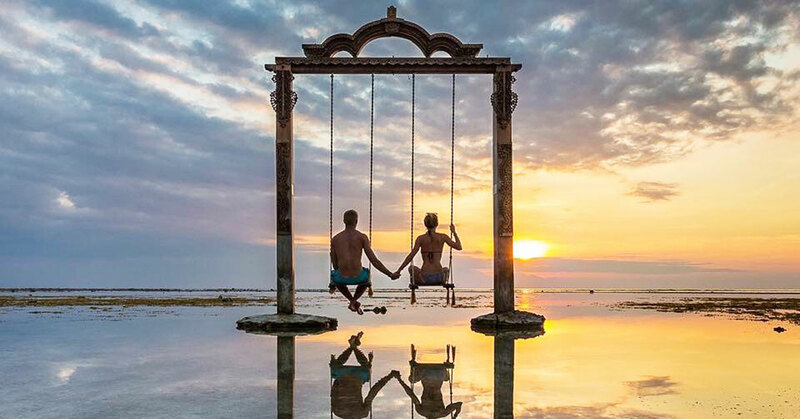 Tag your travel partner now!